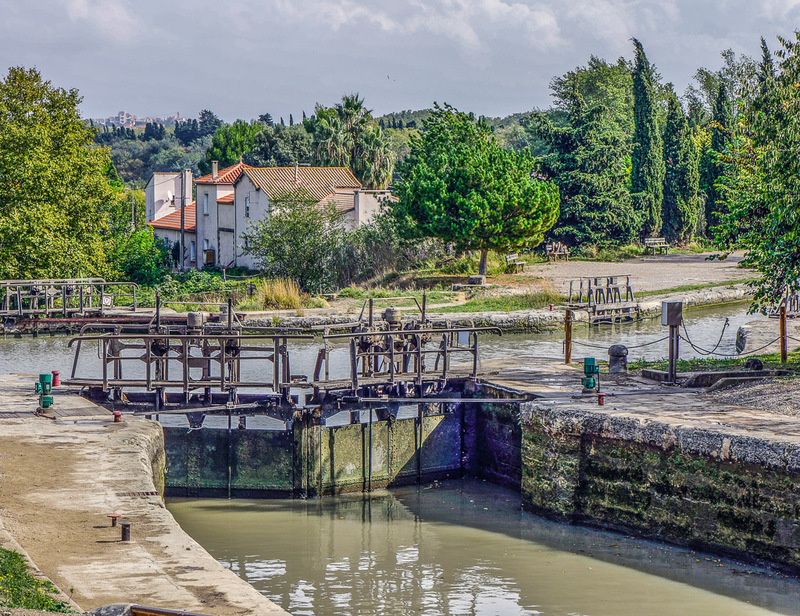 A lock on the Canal du Midi that needs to be opened for us to pass through. 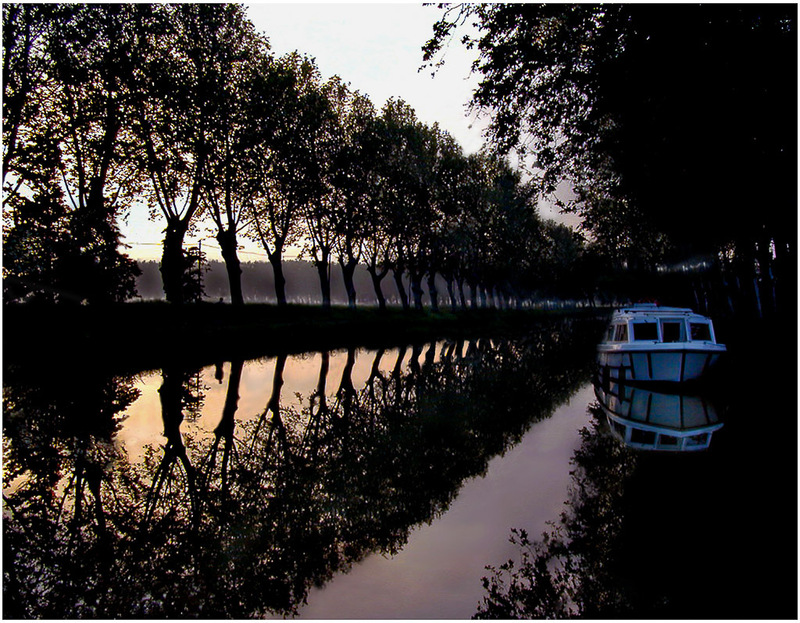 Waking up to the rising sun on the Canal du Midi. 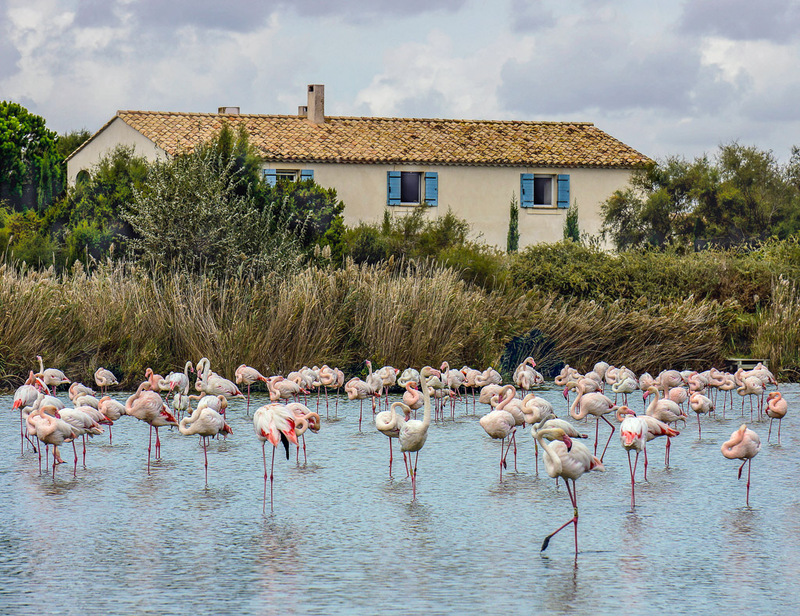 Parc Ornithologique in the Camargue is famous for it's pink flamingos. 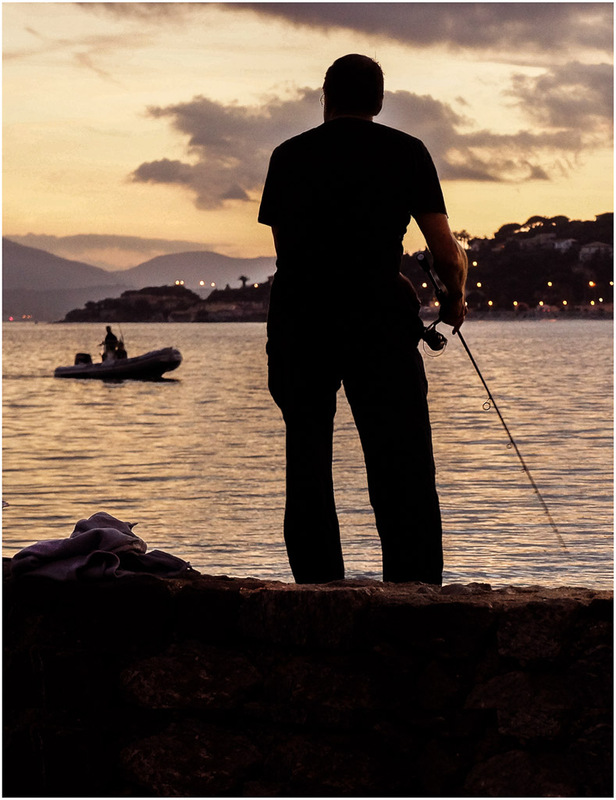 Sunset is a favorite time for fishermen in Saint Maxime. 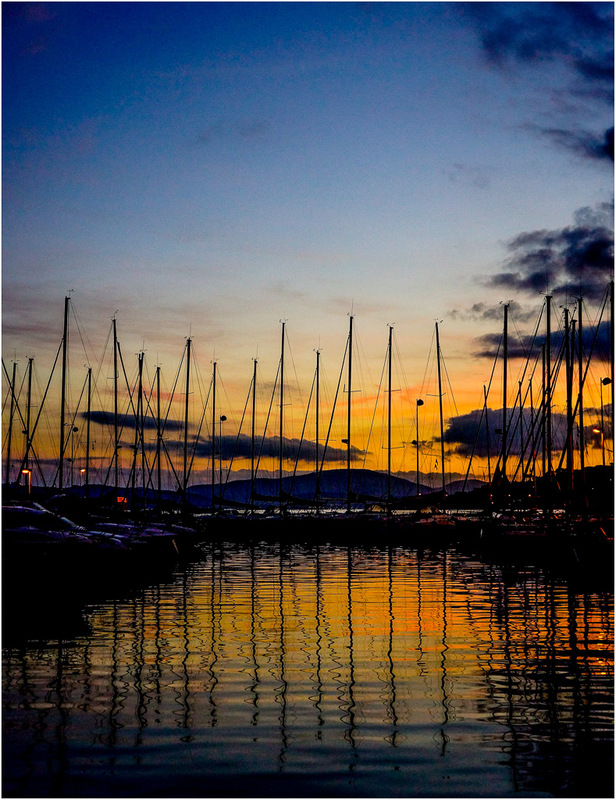 The sail boats of Saint Maxime make a striking sunset silhouette. 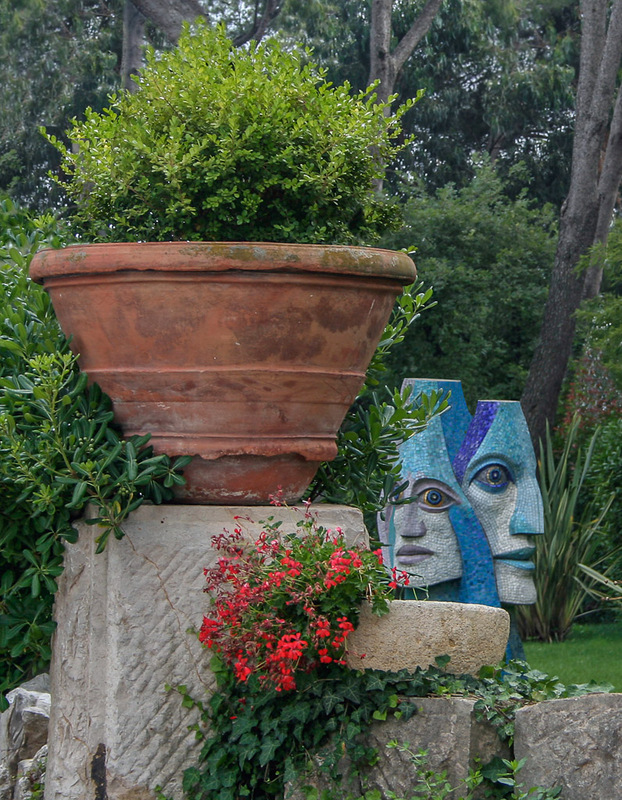 Saw this interesting couple in a garden in Vence in 2000. 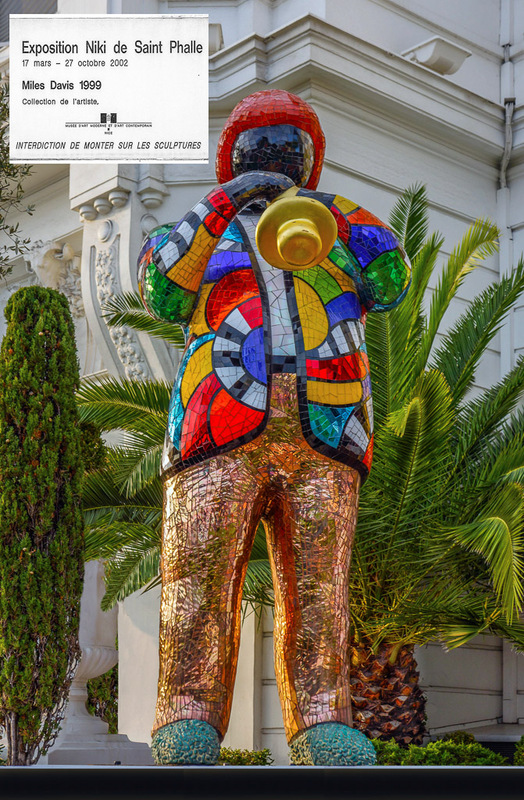 A statue of Miles Davis by Niki de Saint Phalle at the Negresco Hotel In Nice. 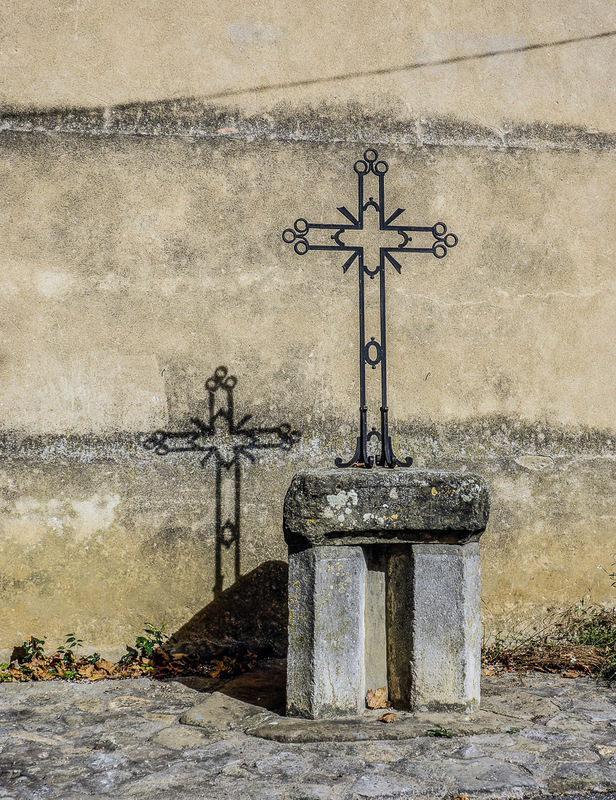 Seen in front of the old church in Villemoustaussou. 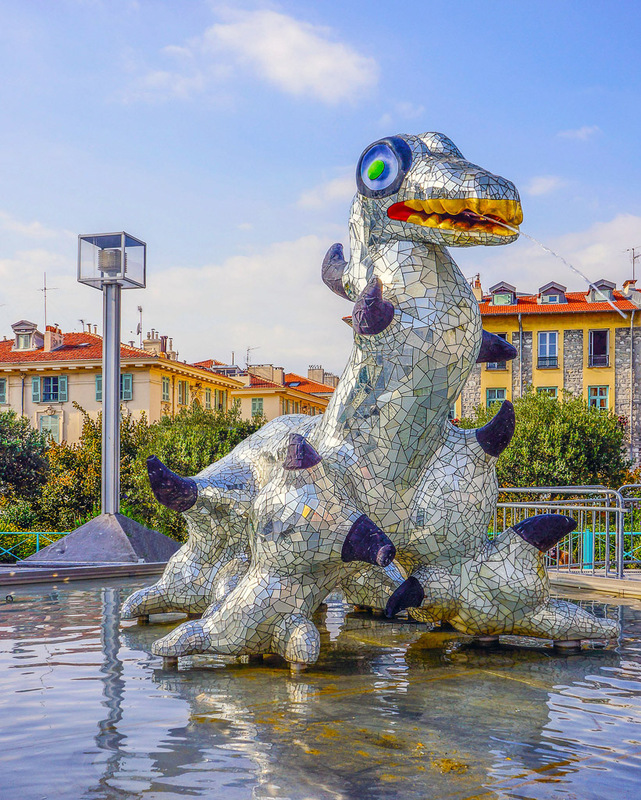 One of many sculptures by Niki de Saint Phalle found in Nice. 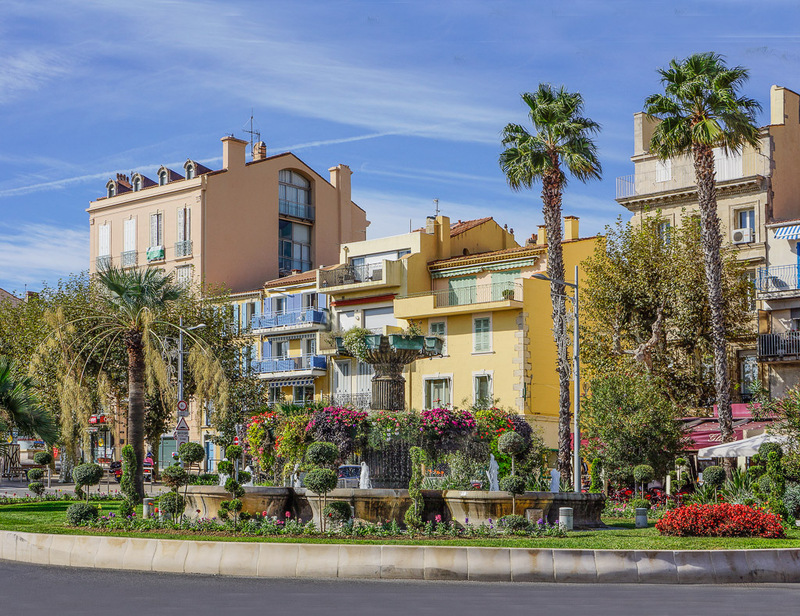 The statue of Pam marks the entrance to the Bandol market. 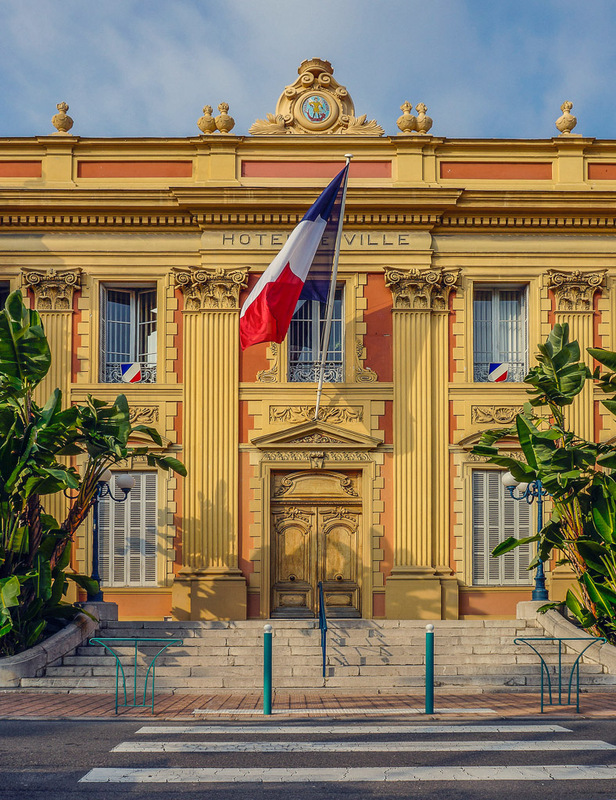 A beautiful building in Nice houses the city's colorful town hall. 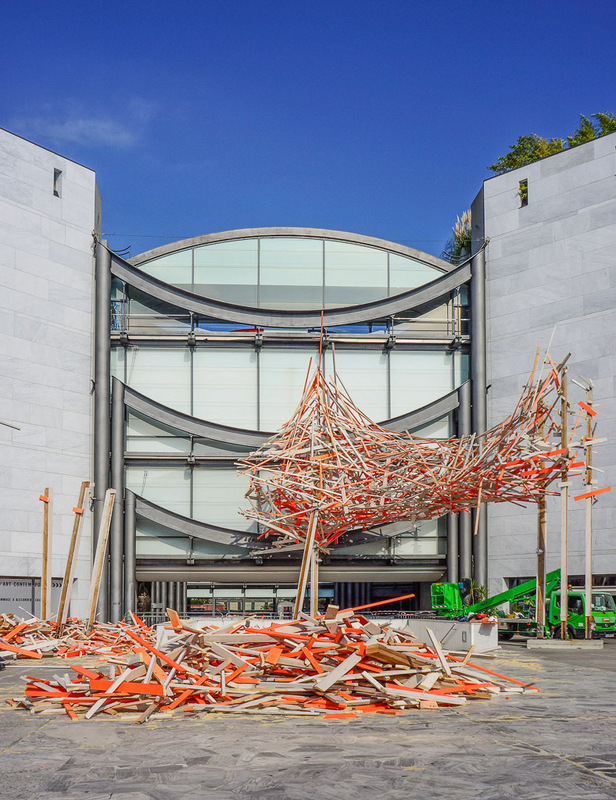 A new construction in front of the Museum of Modern Art in Nice. 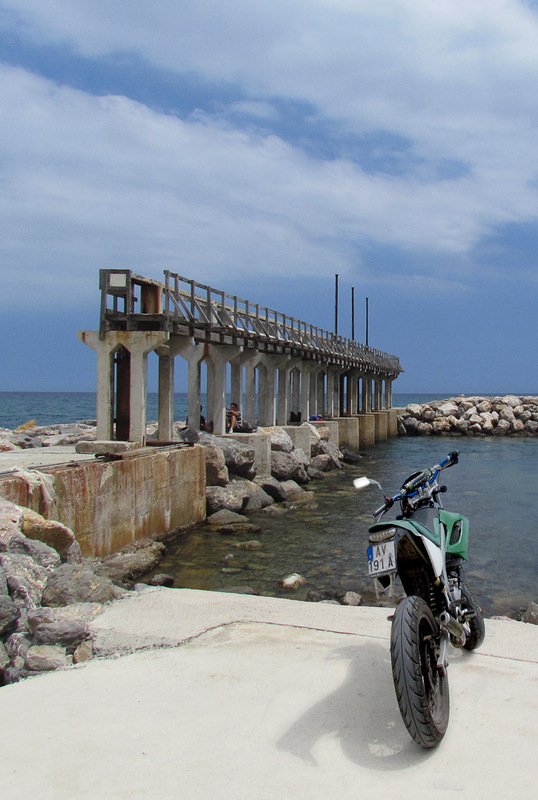 A great place for familes, couples, stollers and anyone wanting to relax. 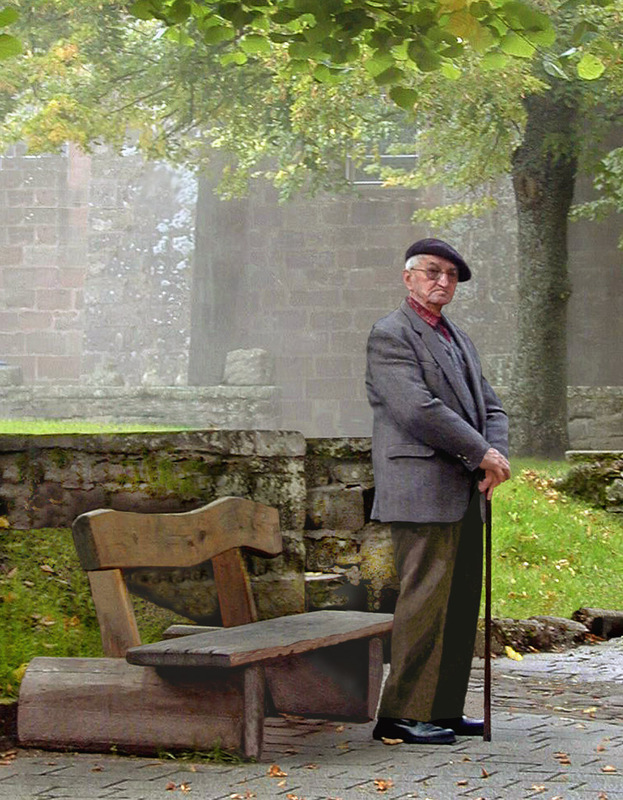 L'Eglise du Saint Jean-Baptiste Le Voeu on the Promenade Anglais. 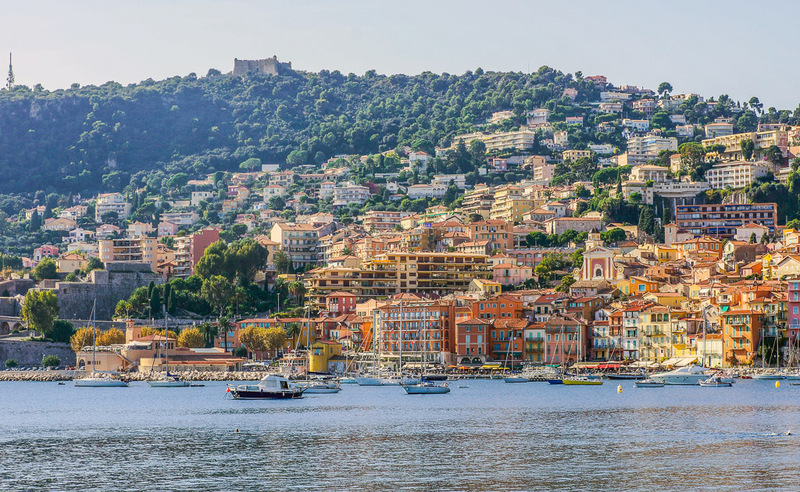 Residents get a nice view overlooking the bord de mer. 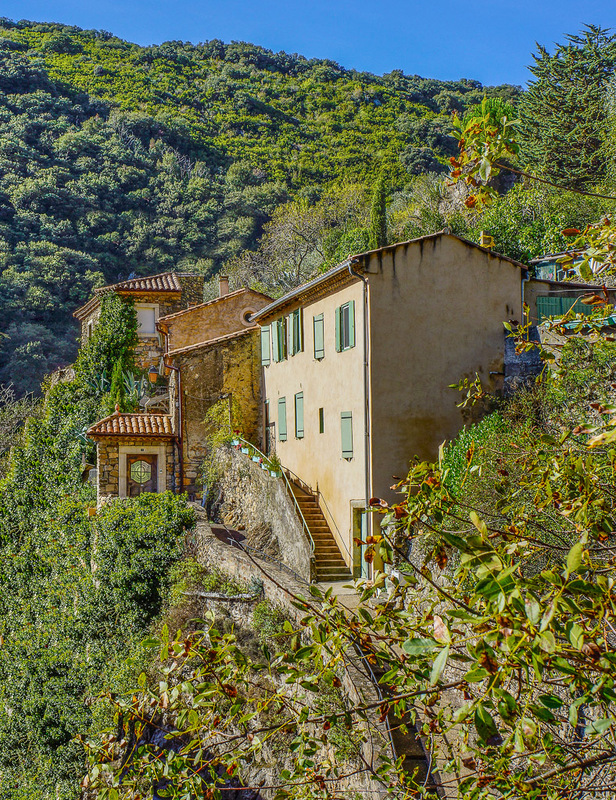 A home seen in the hills as we hike up to visit the ruins of Chateau Lastours. 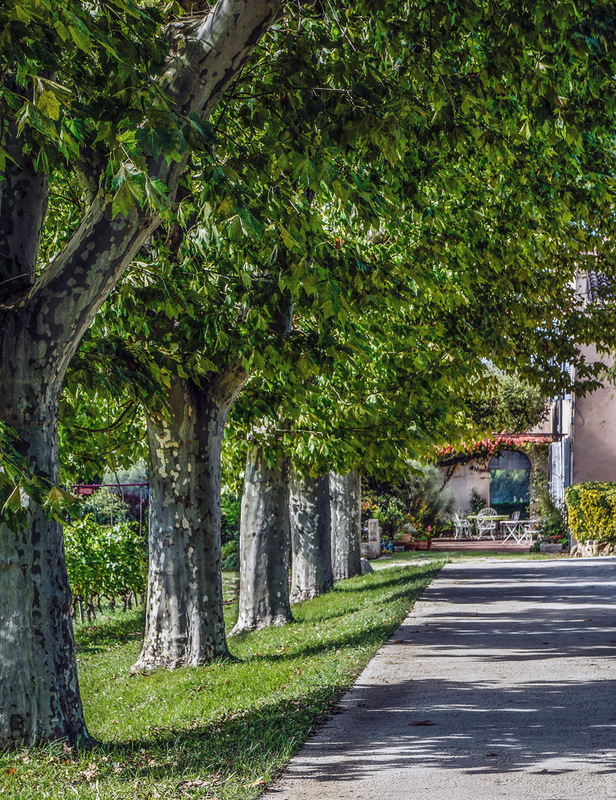 A working winery and B&B with fabulous food amid the vineyards of Villemoustaussou. 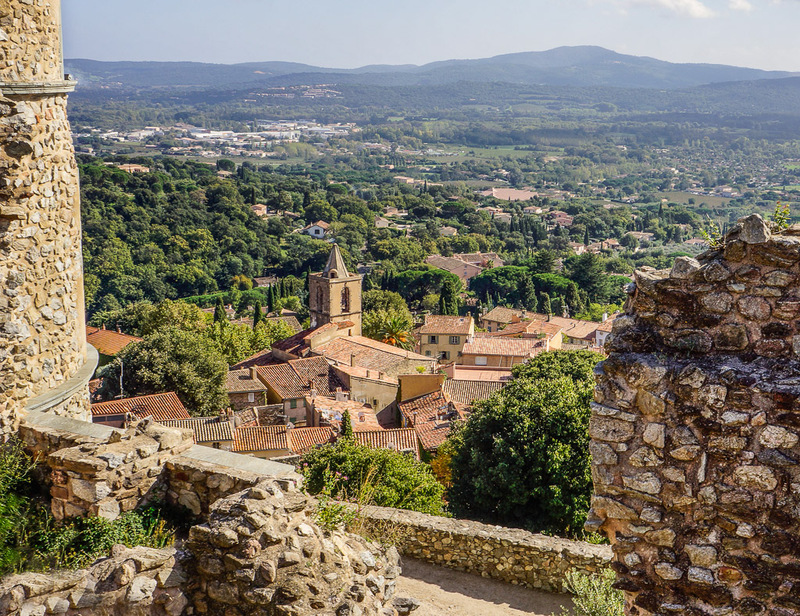 Looking down on the village of Grissom from the ruins of it's chateau. 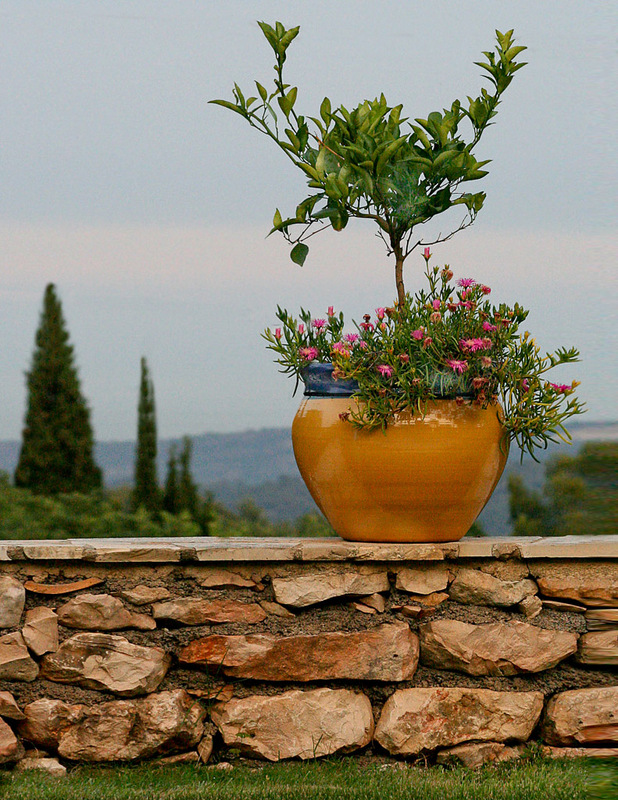 A beautiful home in La Turbie with a view to Eze and to the sea below. 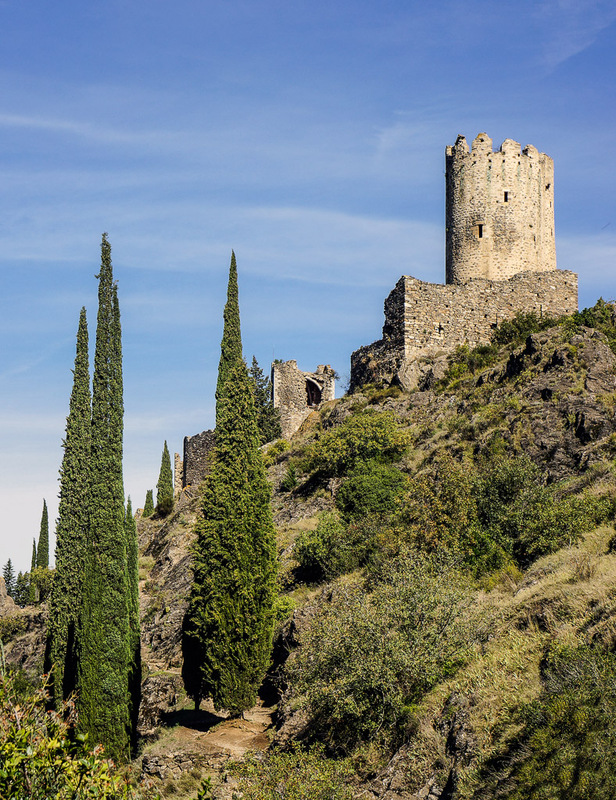 The ruins of the 11th century Medieval Cathar Castle in the department Aude. 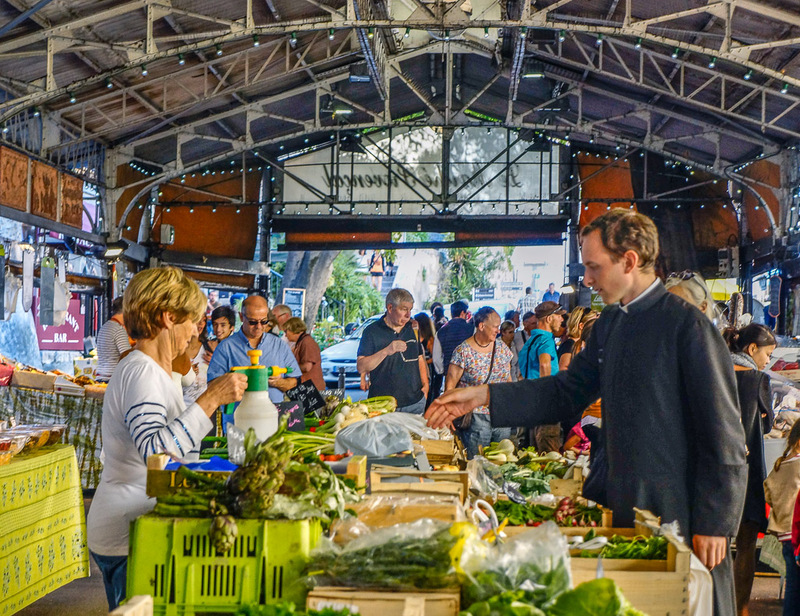 France's colorful markets are abundent with fresh, local produce and ready to eat. 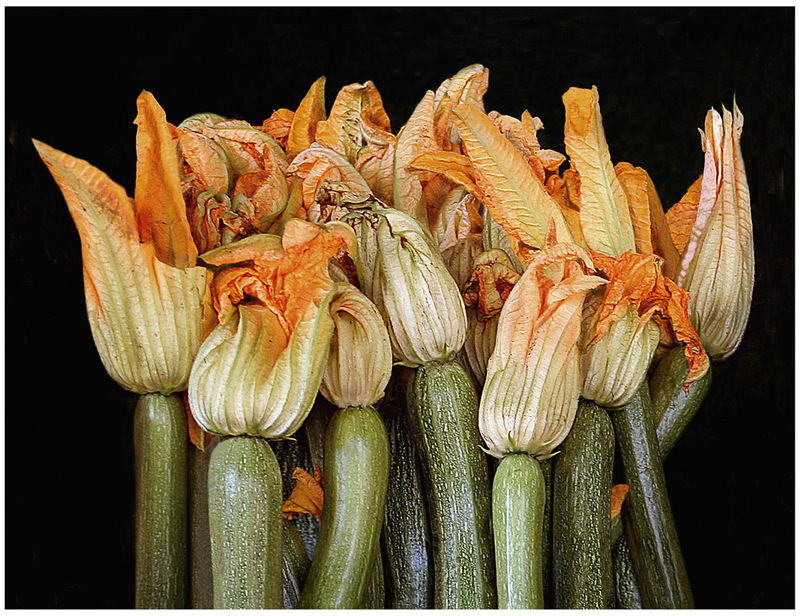 Zucchini blossoms will be filled with cheese and sauteed for lunch. 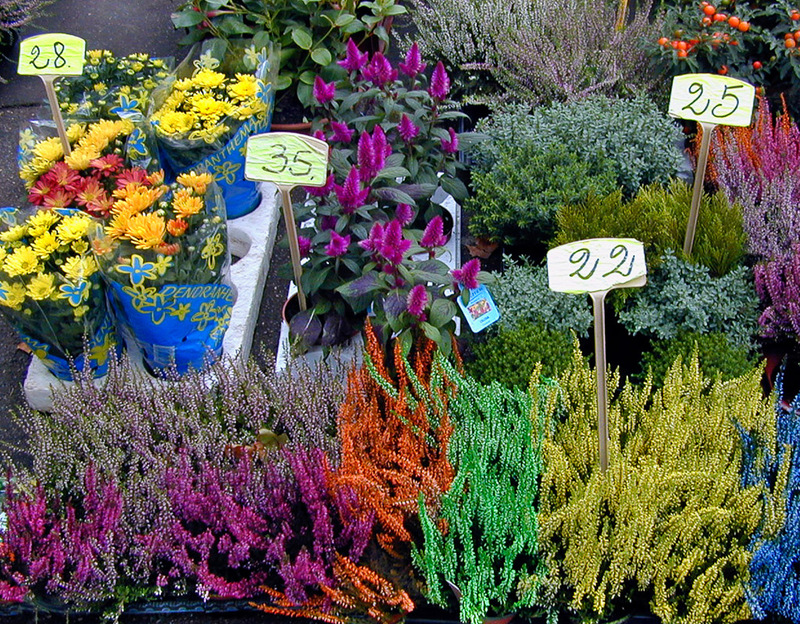 The beautiful flowers at the market are a delight to see and smell. 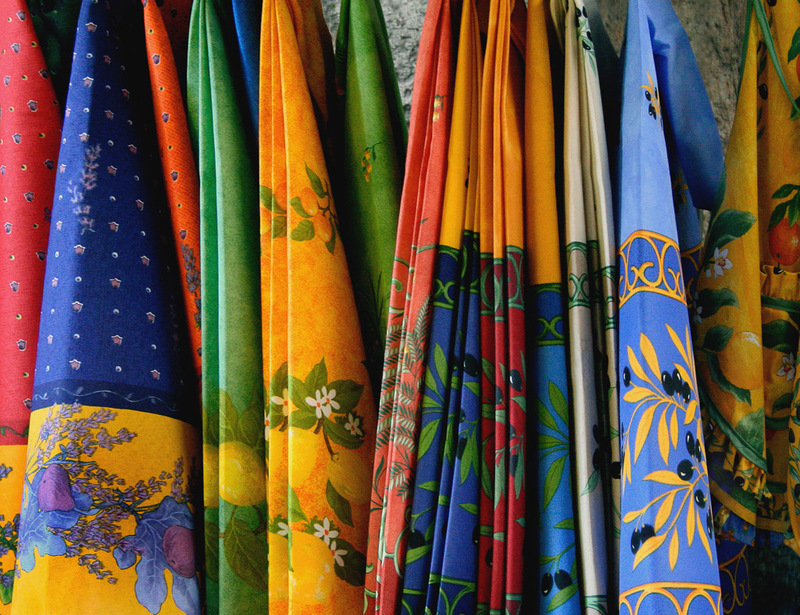 Olives, flowers, fruits and cigales are traditional motifs of Provencal fabrics. 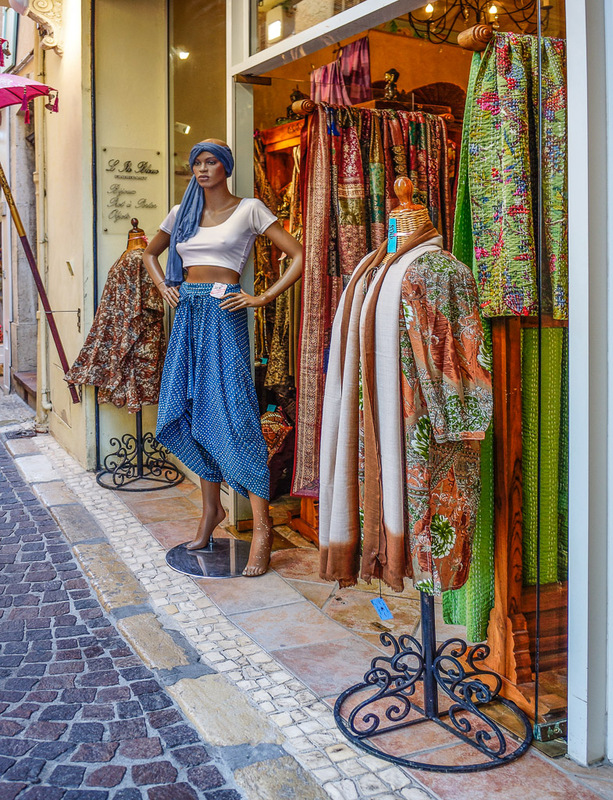 One of many very colorful shops to be found in Antibes. 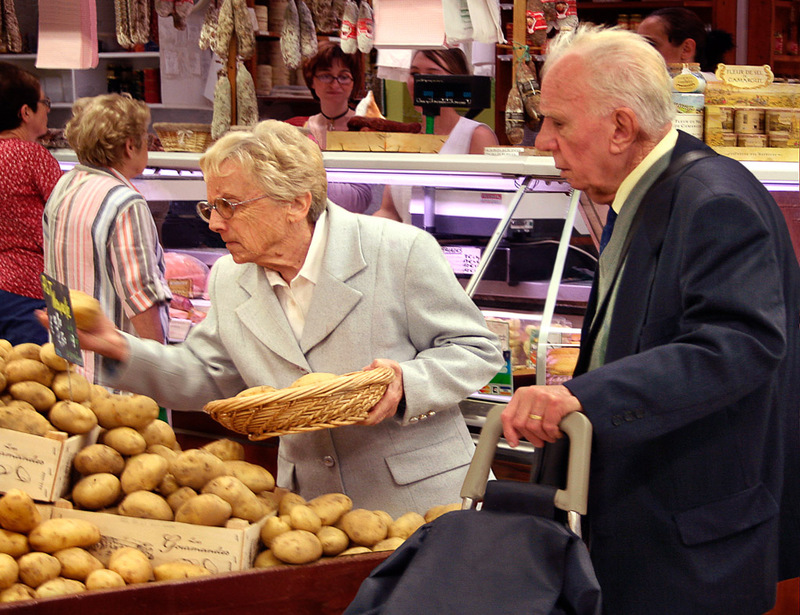 Senior shoppers at the daily indoor market in Avignon. 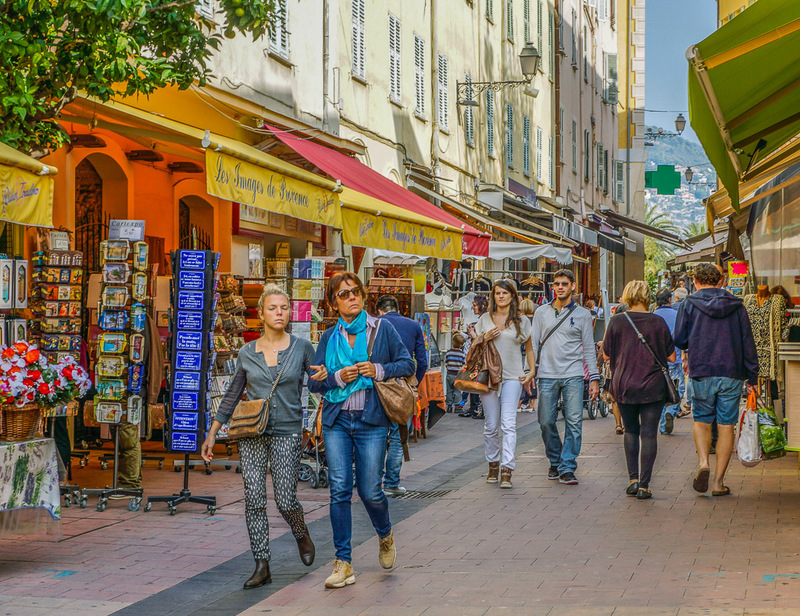 A street in Nice that is typical of shopping in the villages of Provence. 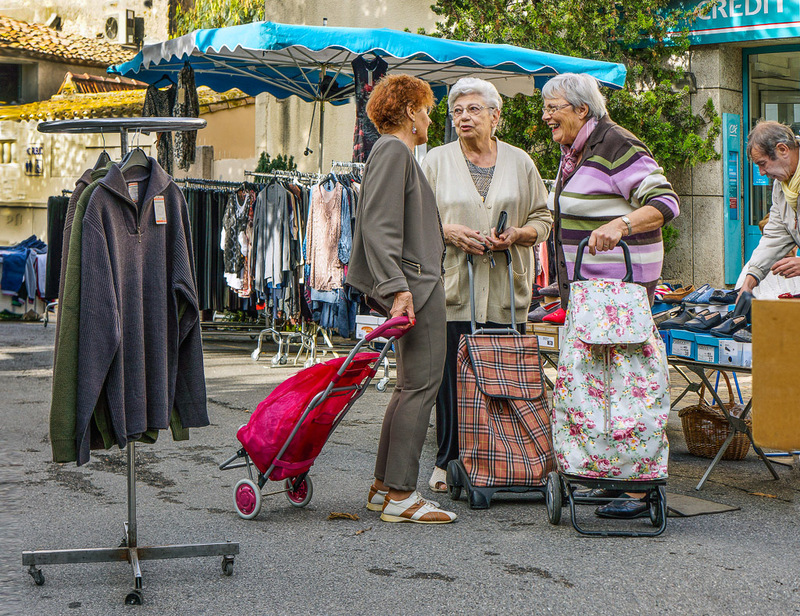 Village markets are where people can meet and socialize with neighbors. 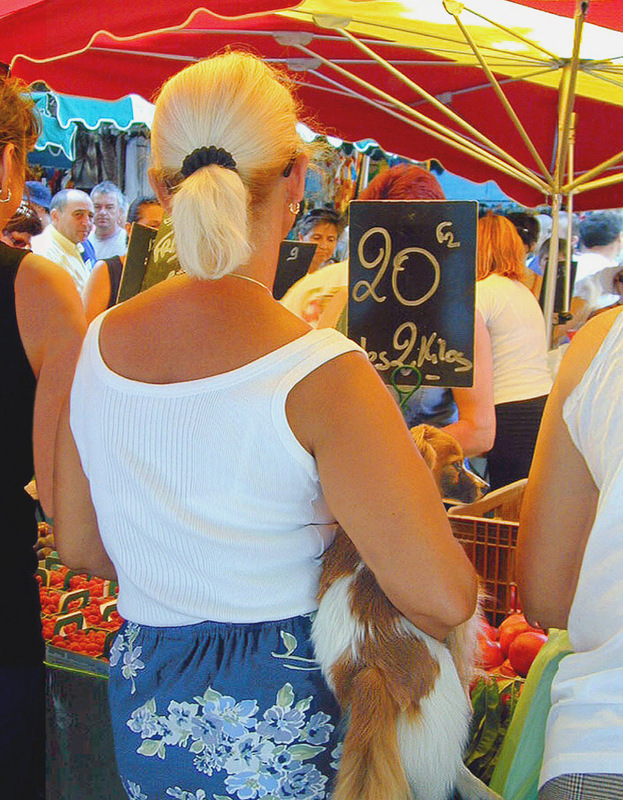 The famous market in Antibes brings many people into town to shop. 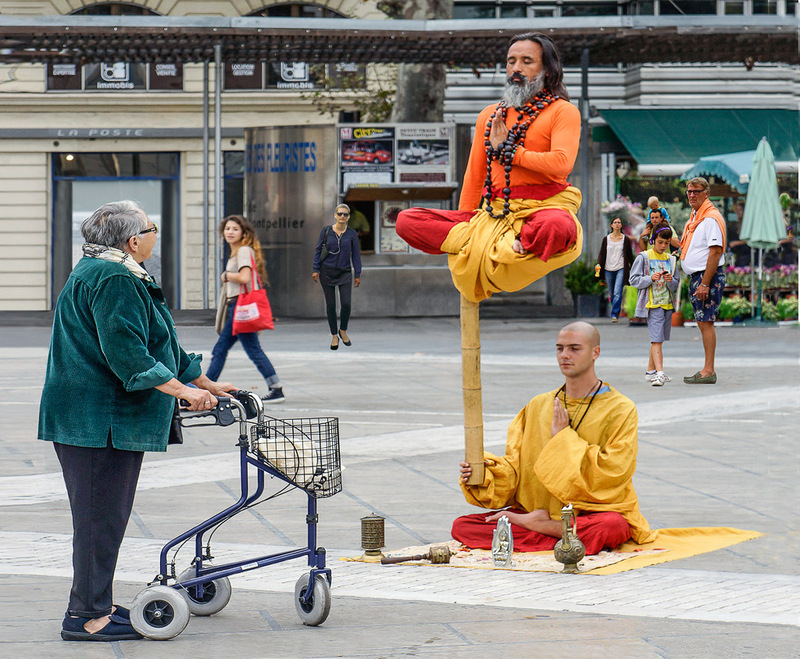 The men sit and wait while the women do their shopping. 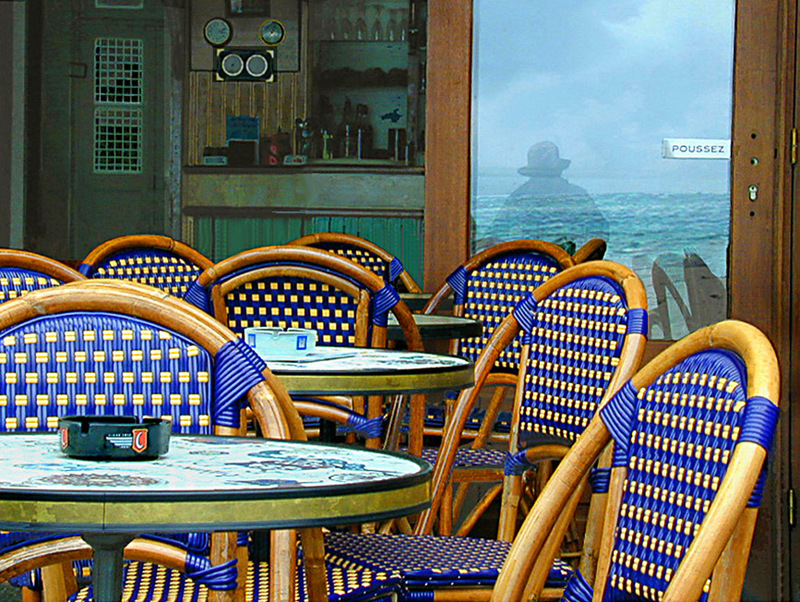 A popular place to take a break on the Leucate Plage. 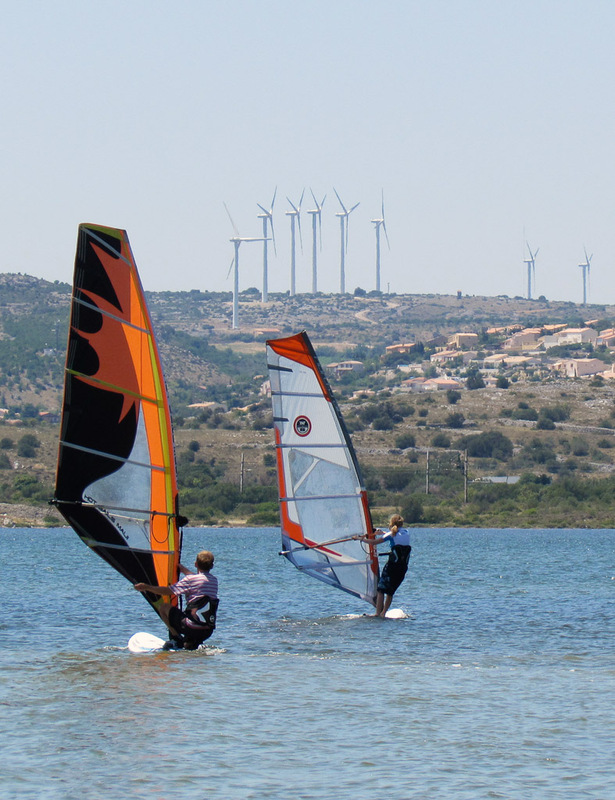 Two ways to put wind power to work in Leucate, a hot spot for wind surfers. 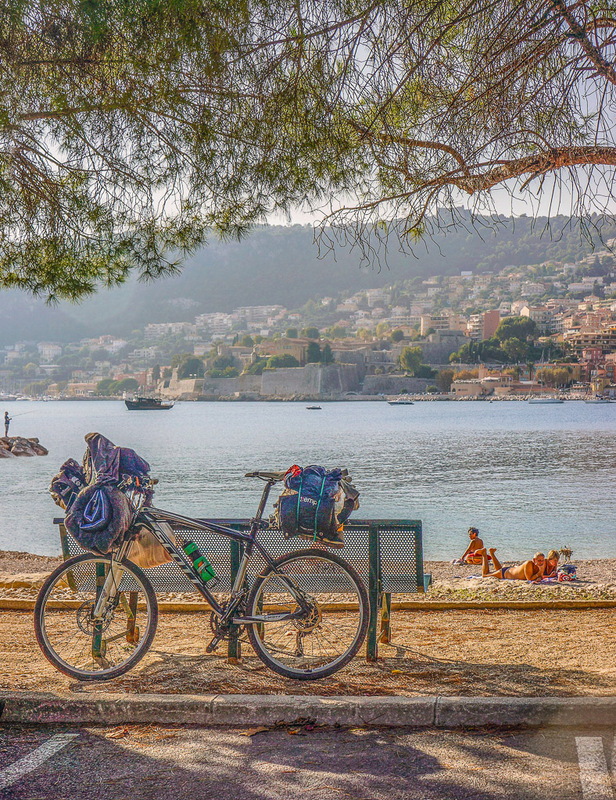 A beautiful and peaceful beach provides a view of Villefranche. 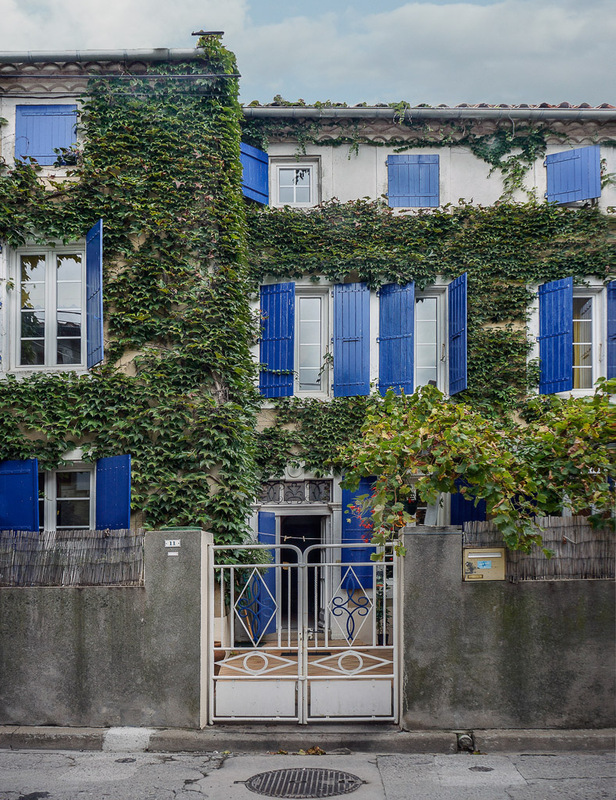 The colorful home of many celebrities like Tina Turner and Elton John. 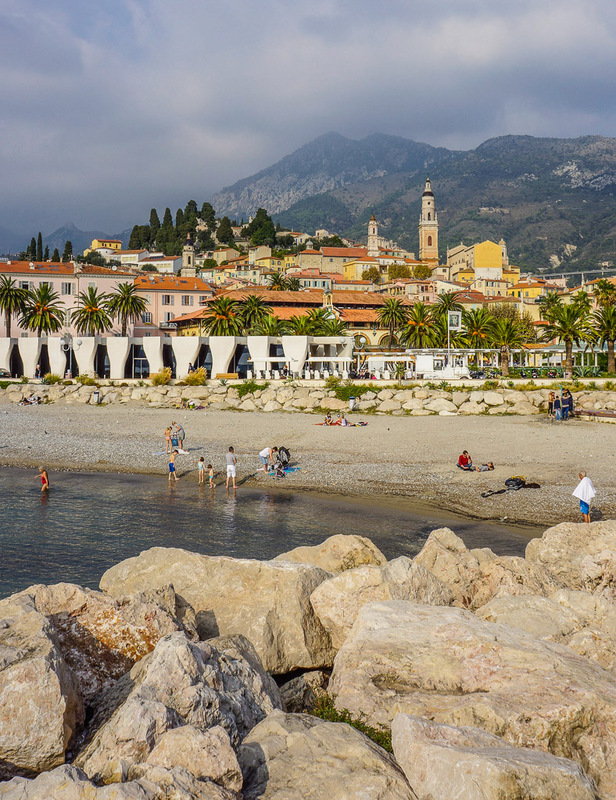 A beautiful beach with the Alpes Maritimes mountains as a backdrop. 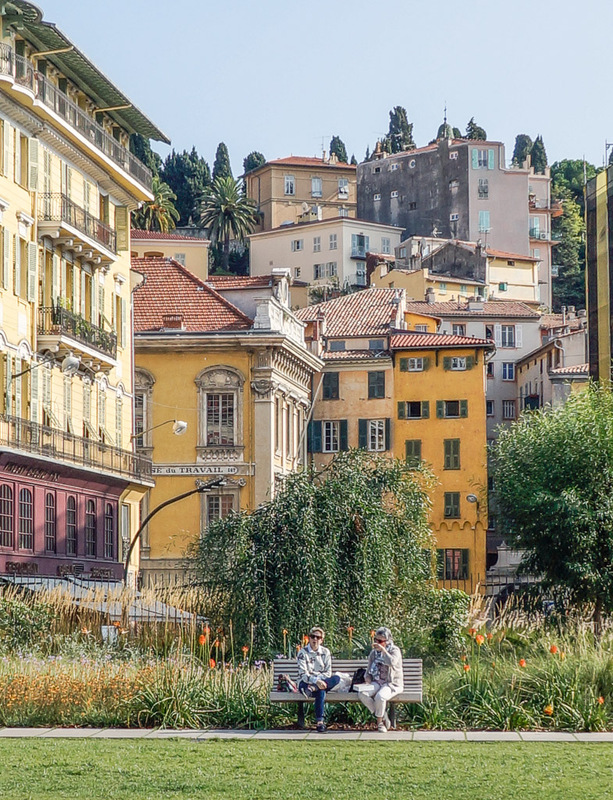 Enjoy your pastries while basking in the warmth of the southern sun. 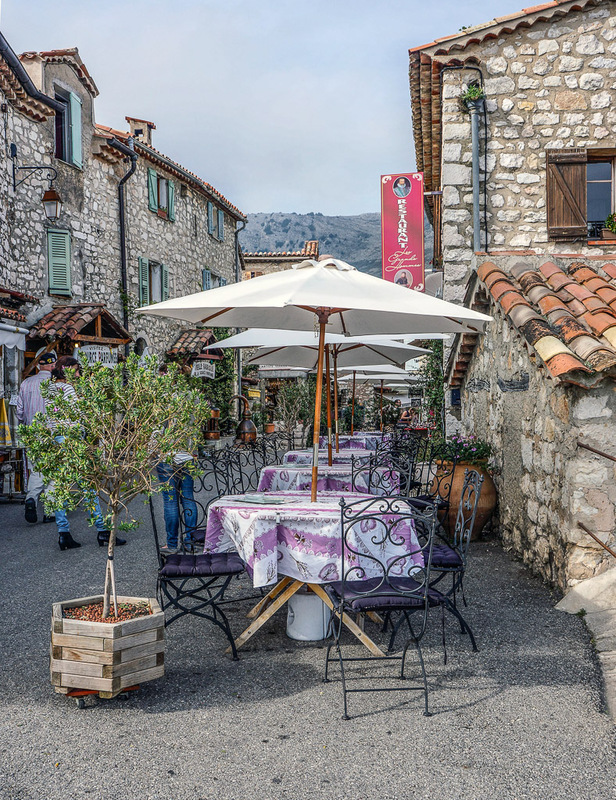 Another busy lunch time in the perched village of Saint Paul de Vence. She prepared mussels to start off our dinner at her restaurant in Citou. 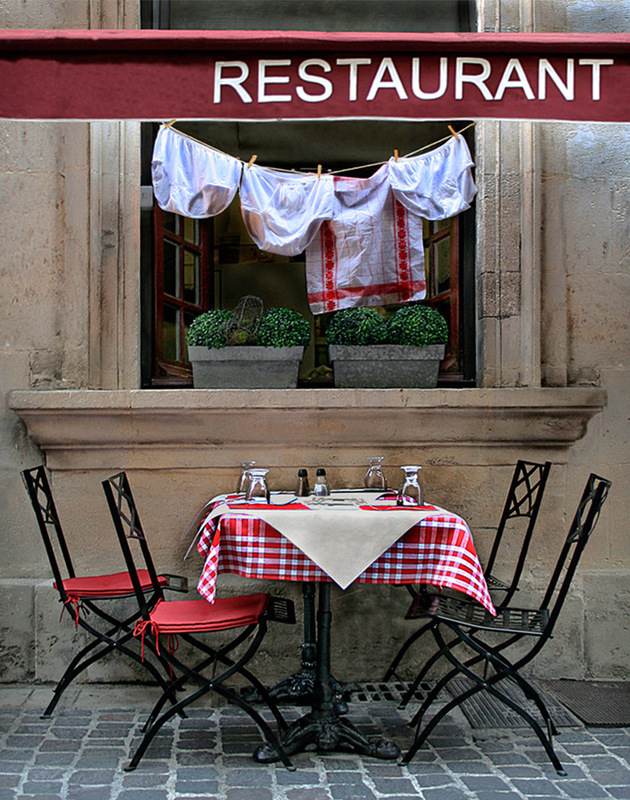 There is some added ambience seen at a restaurant in Avignon. 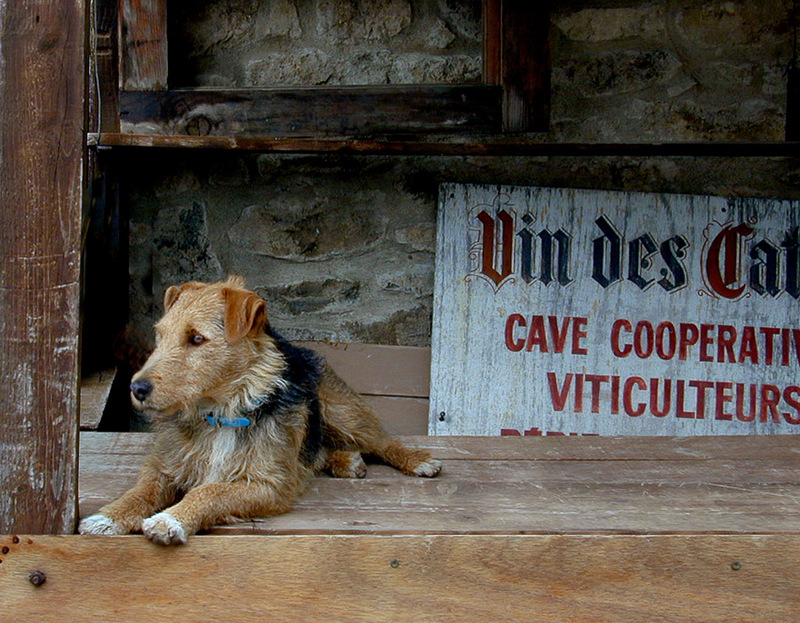 A visit to the perched village of Gourdon looking for the singing glassmaker. 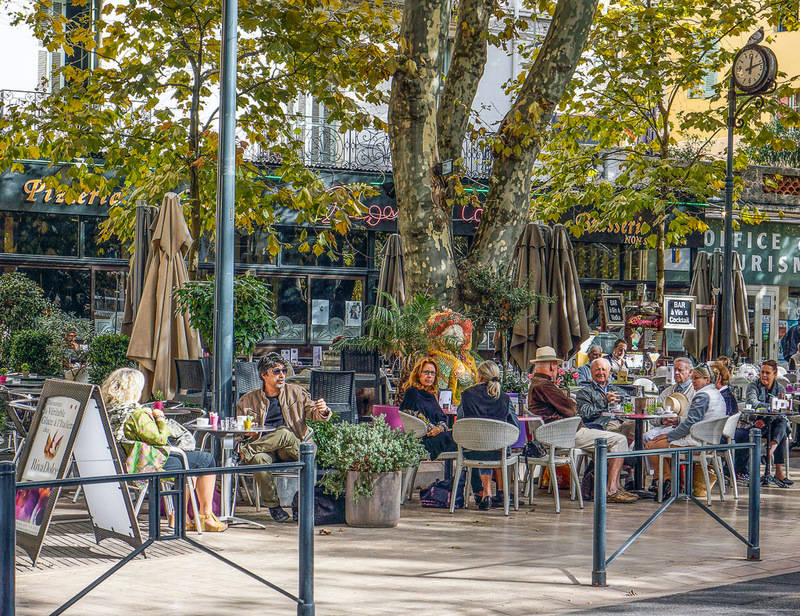 Mougins is also home to many art galleries and a famous photo museum. 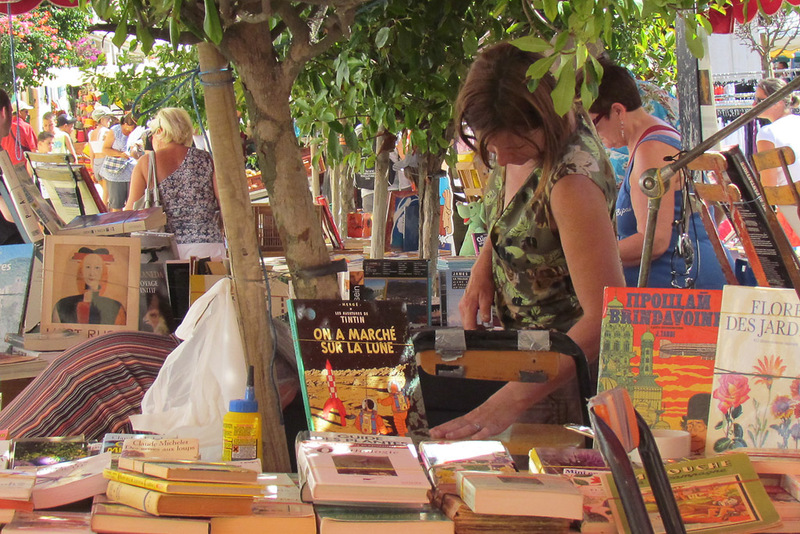 Browsing for books at the bi-weekly market in old Leucate. She'd like to know the answer to that puzzling question. 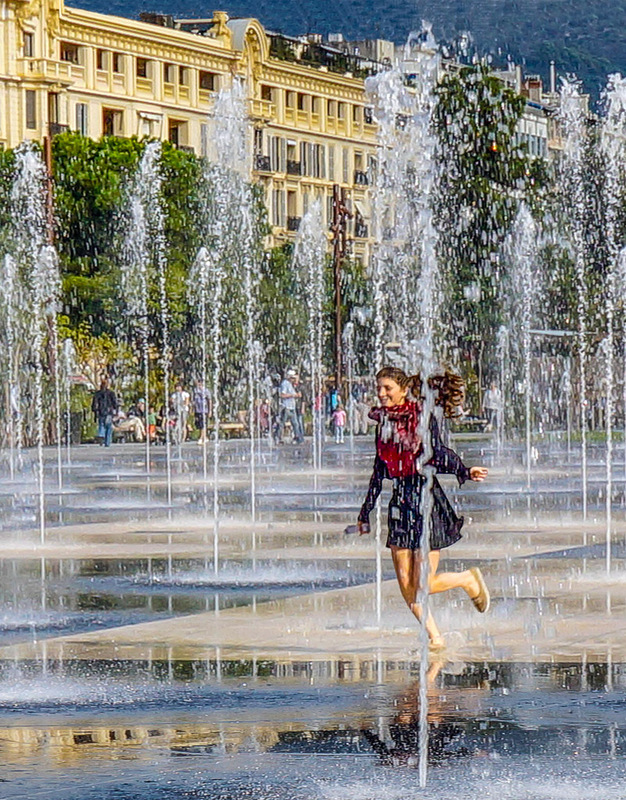 She's enjoying a run through the dancing fountains of Nice. A dapper gentleman is out for his regular Sunday constitutional. 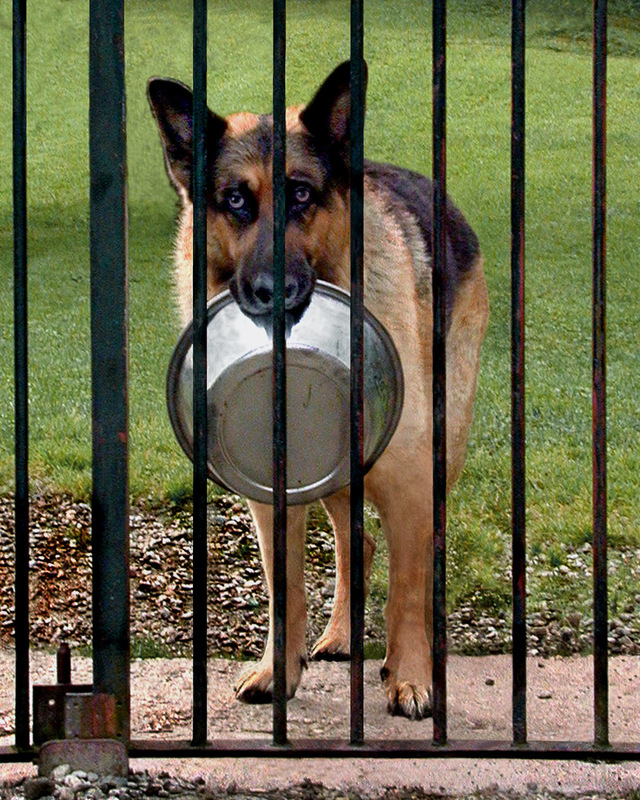 The dog at our bed and breakfast looked intimidating until this moment. 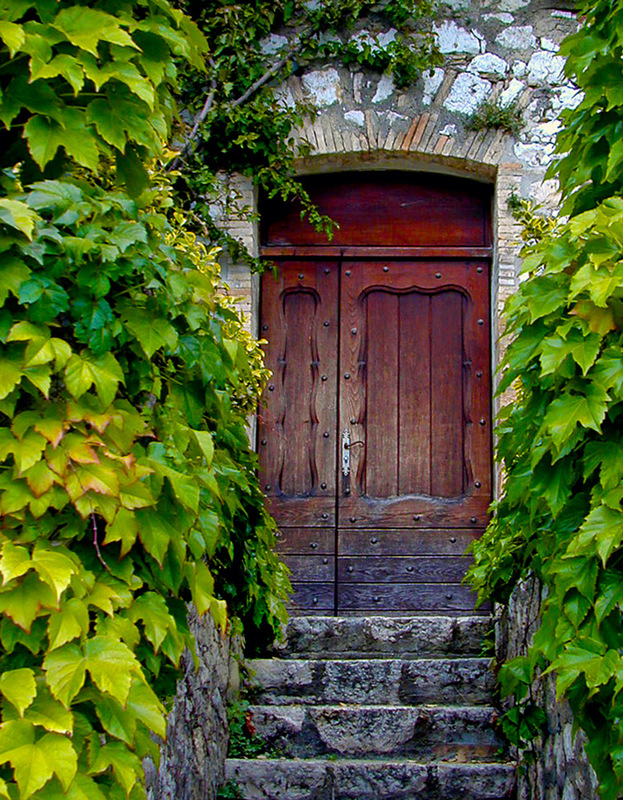 A wine cave in the village of Minerve in southwestern France. 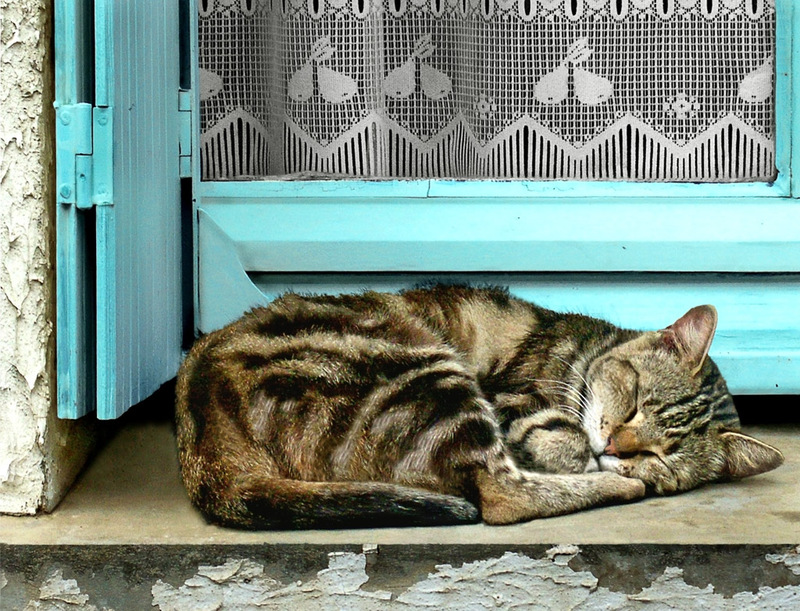 The villages of France are populated with many cats who are living on the streets. She catches her daily nap in the warmth of the southern sun. 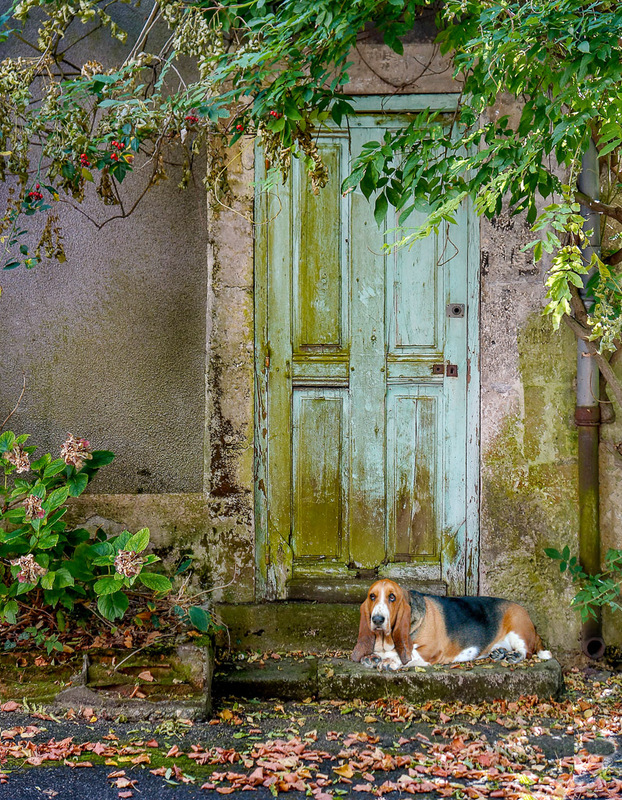 He checks out all the passers by in front of the home he protects. 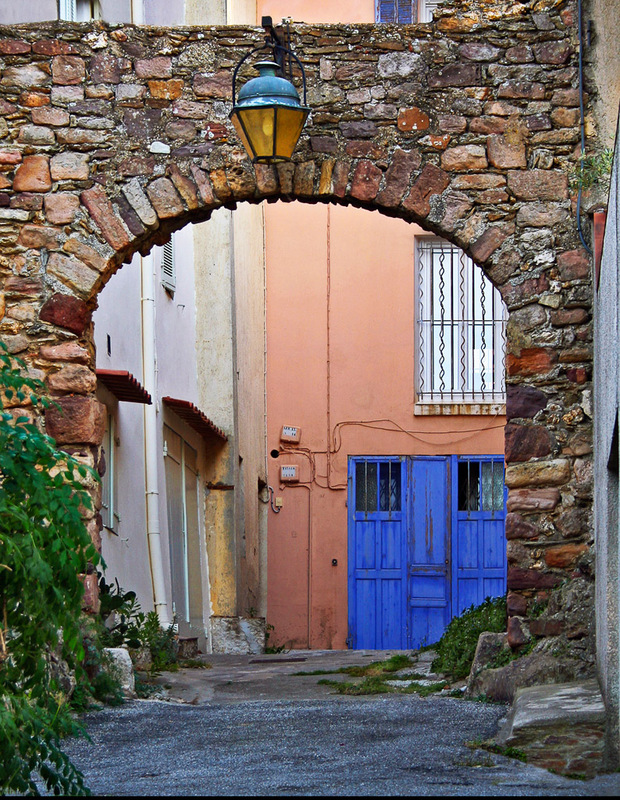 No one was seen or heard on this street in Castellet. 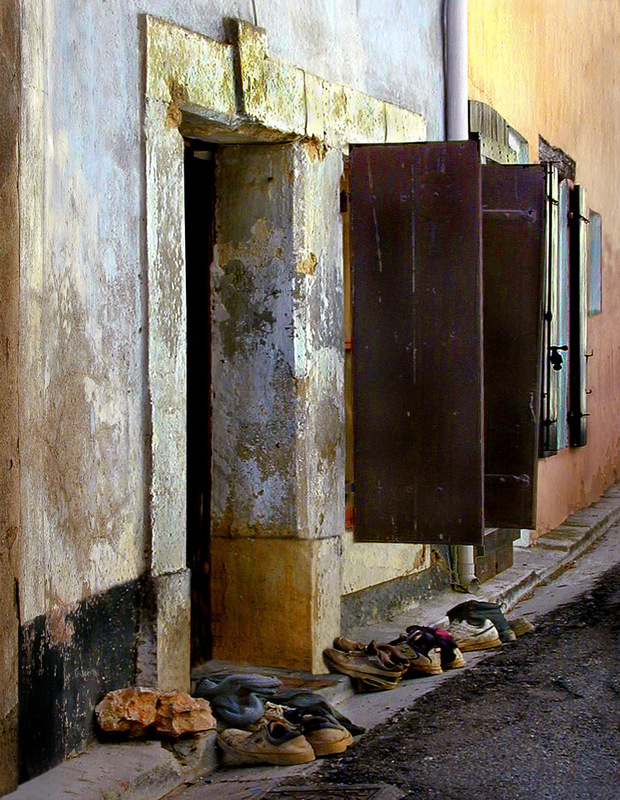 Our friend's house in Rieux Minervois is over 250 years old. 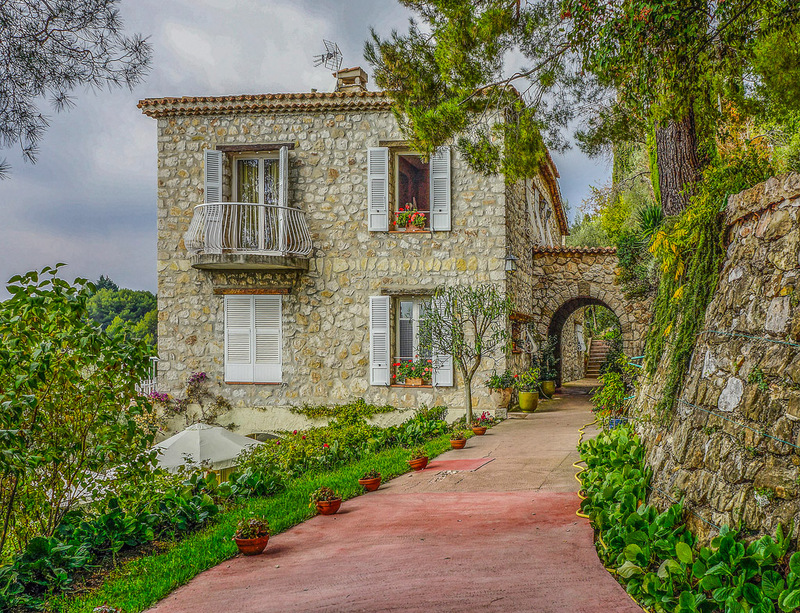 I'd like to be invited inside of this home in La Turbie. 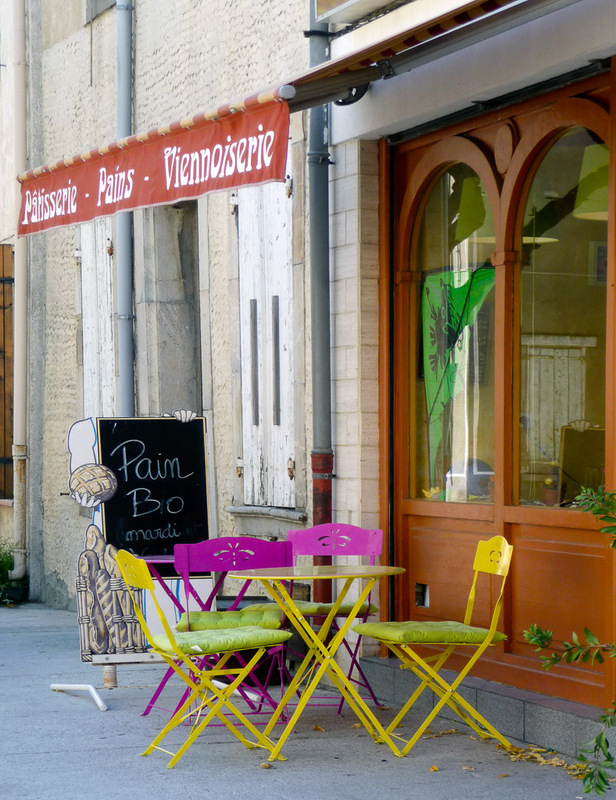 Noon time in Mirepesset, a small, sleepy town by the Canal du Midi. 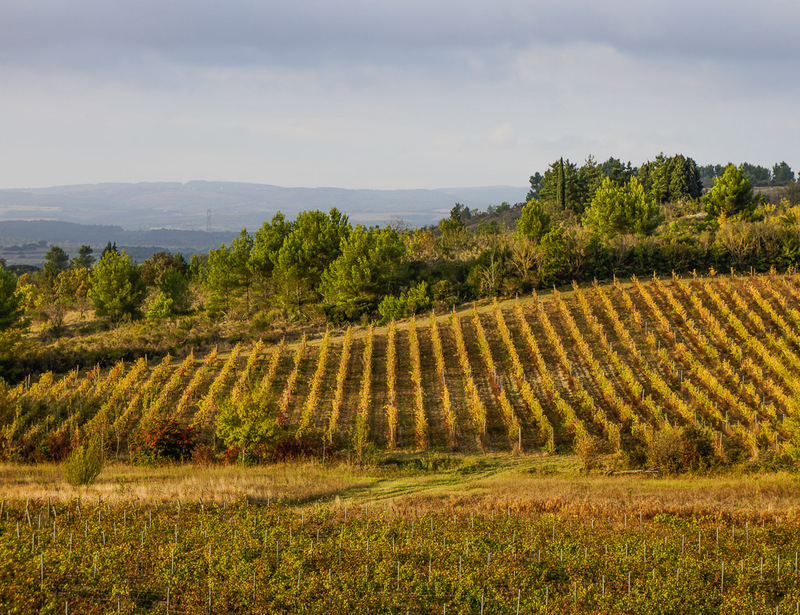 They turned her neglected family grapevines into a world famous vineyard. 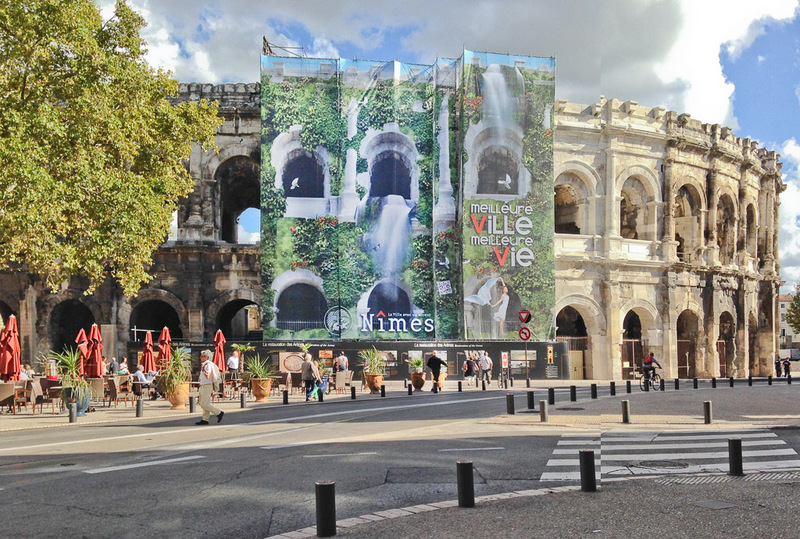 A village that invites some exploration on the drive to Nimes. 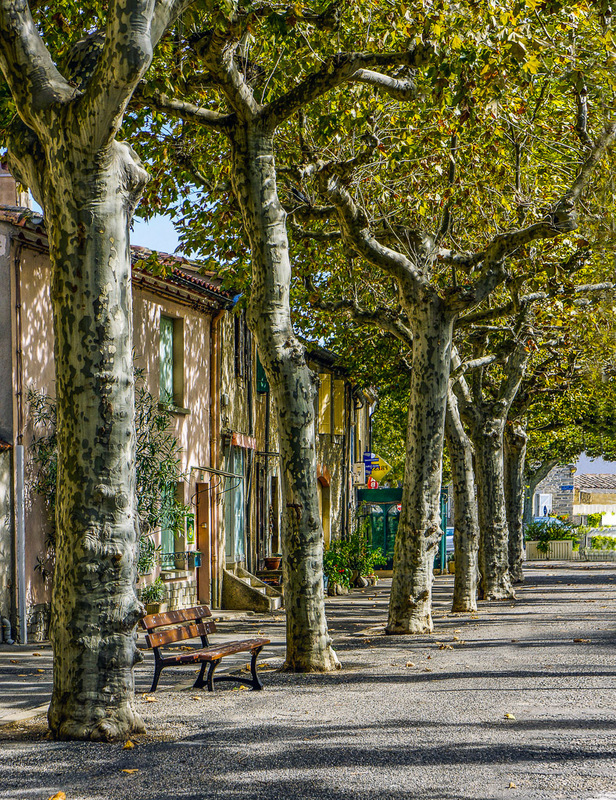 No one is to be seen mid afternoon in this sleepy village near Carcassone. 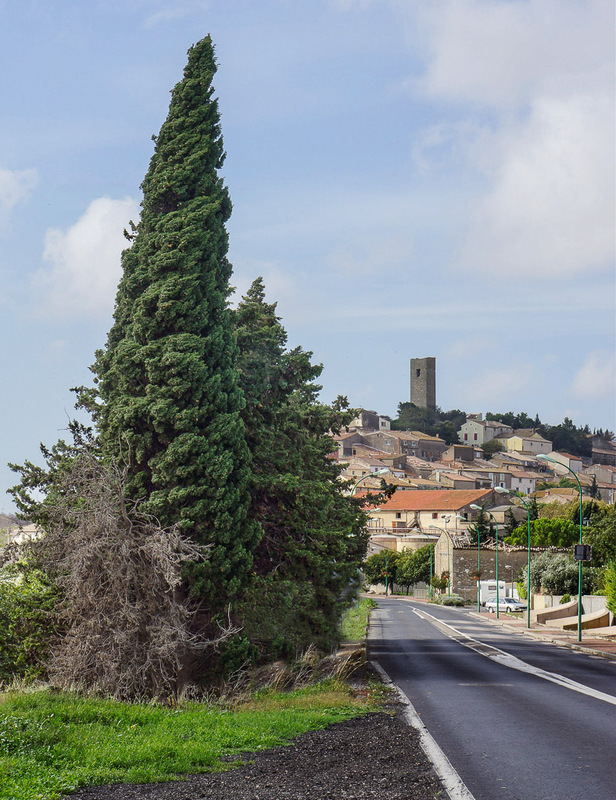 A view from the bridge while crossing over into Rieux Minervois. 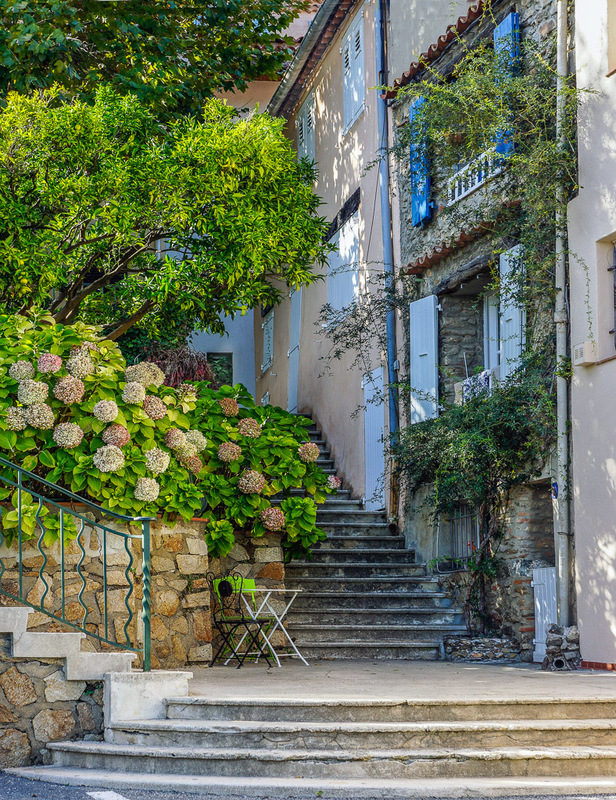 These homes are made more appealling by the hydrangeas in full bloom. 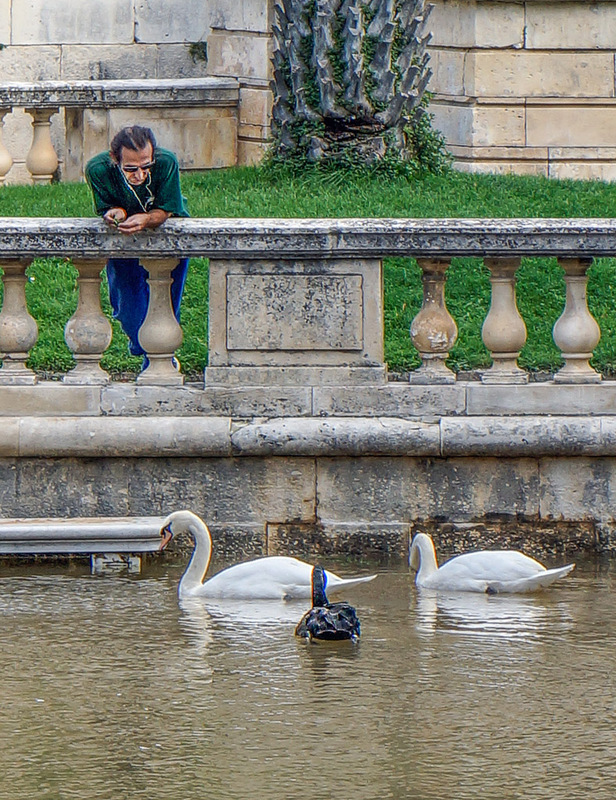 He comes every day to feed them at the Jardins de la Fontaine in Nimes. 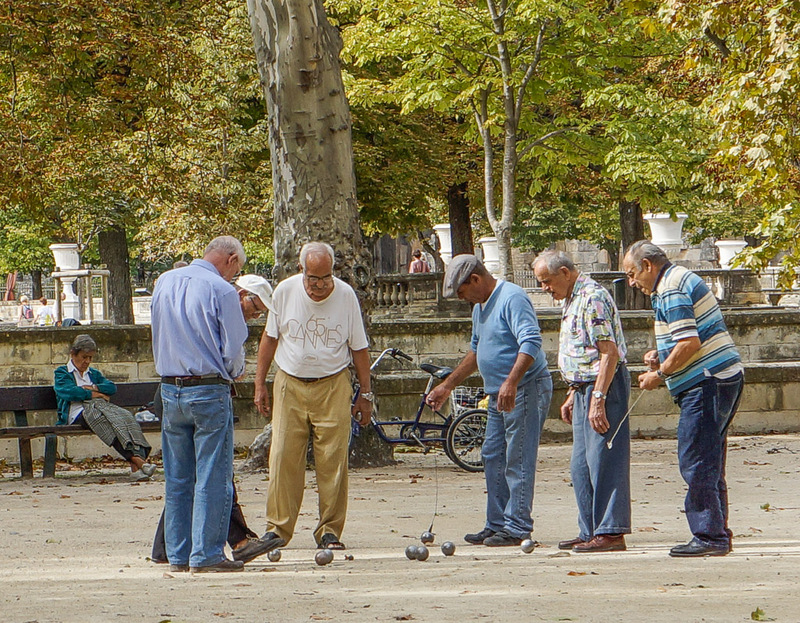 All over France you'll find men meeting in the parks for a game of boules. 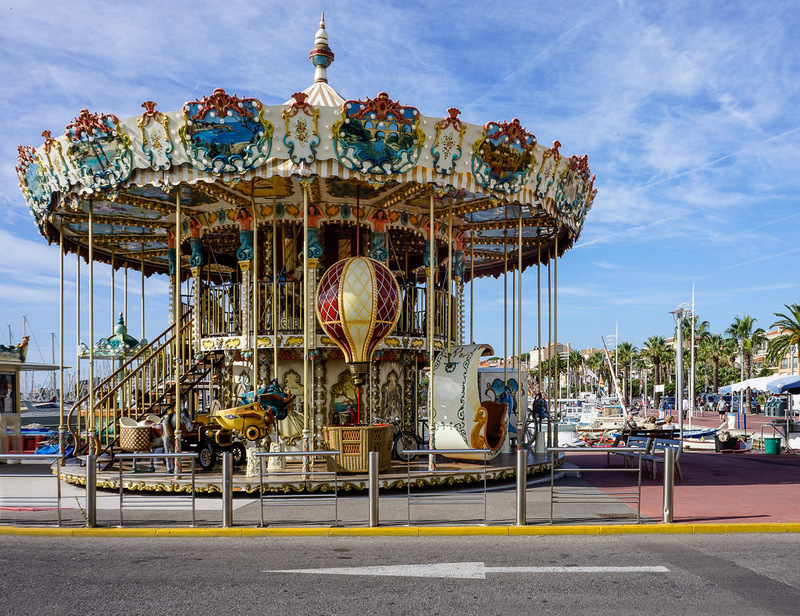 Carousels are found in most of the larger villages and cities in France. 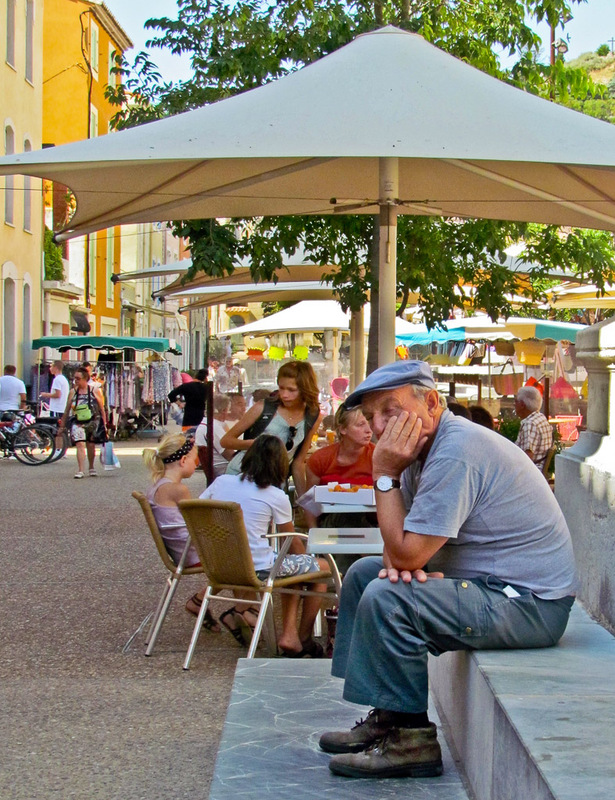 A favorite place by the Bureau de Tourism for tired visitors to rest. 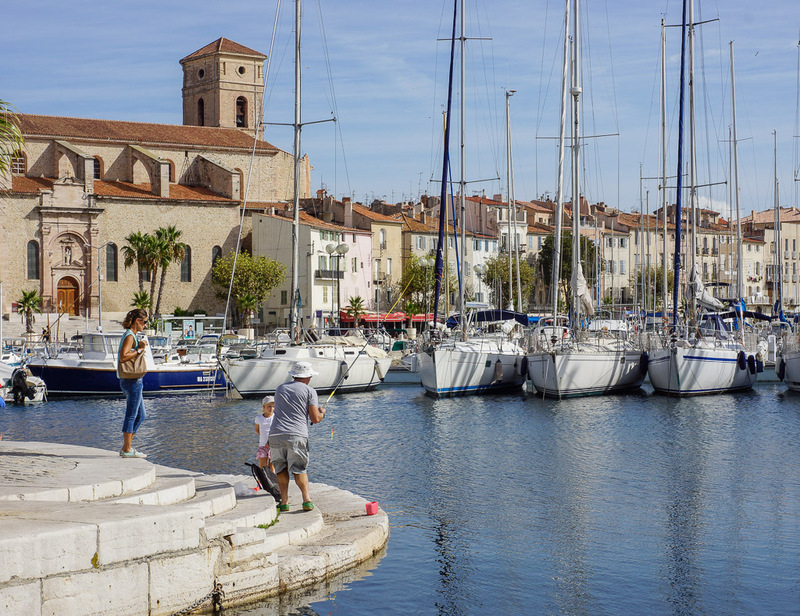 You'll find many fishermen as well as many boats at the port of La Ciotat. 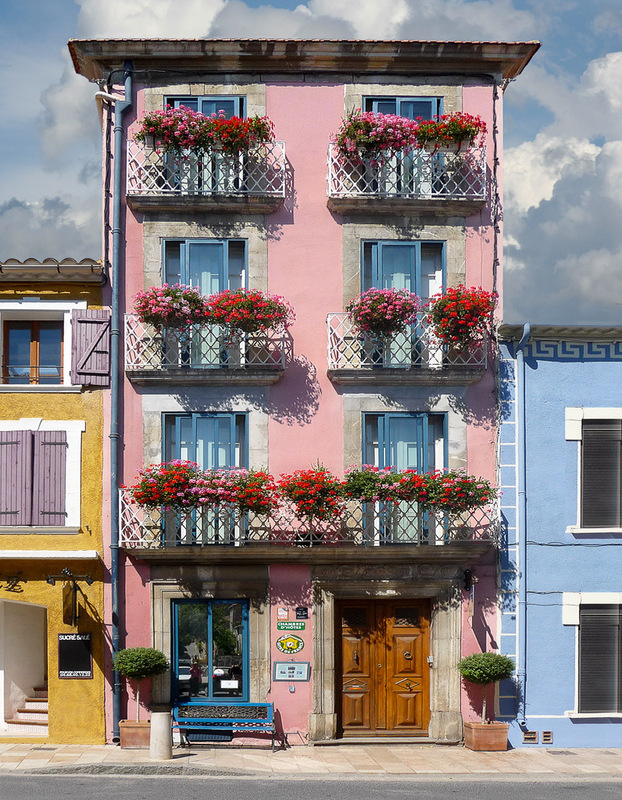 Monsieur Pierre's pink hotel in the old village of Leucate. 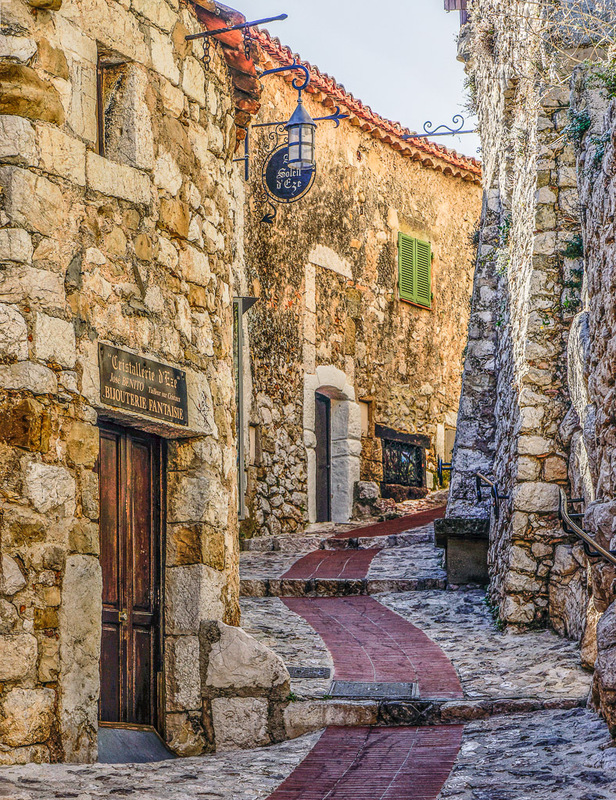 Follow the path to the top of Eze Village and find it's botanical gardens. 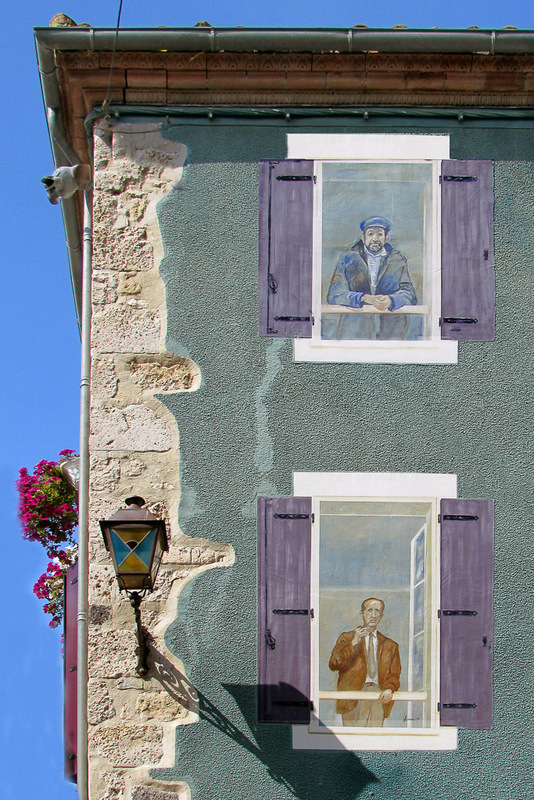 They love the ride down from the top of Saint Paul de Vence. 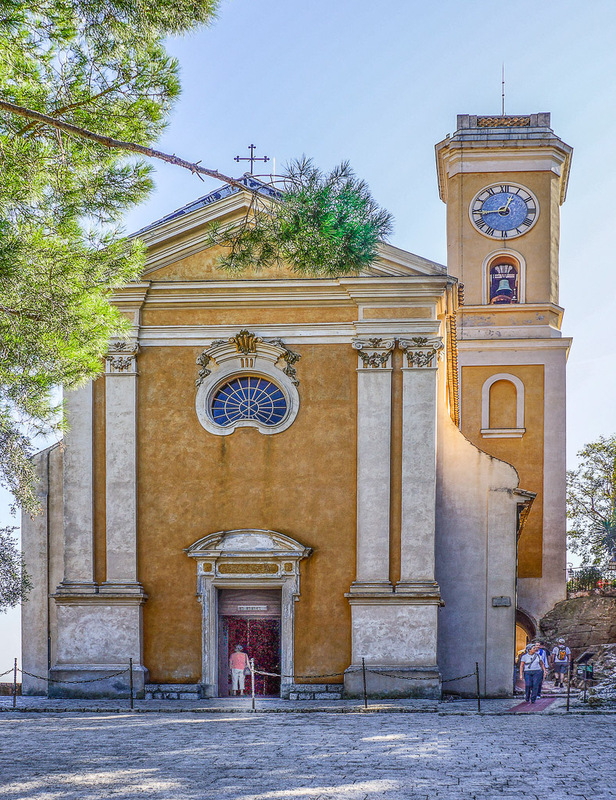 It sits high atop Eze village and is built on the foundation of a 12th century church. 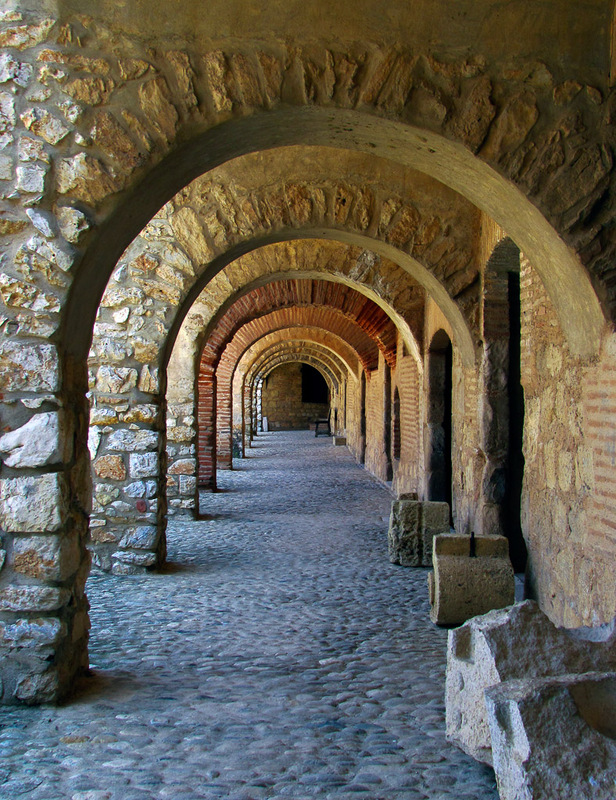 Walking through the arches at the Fortress Salses near Leucate. 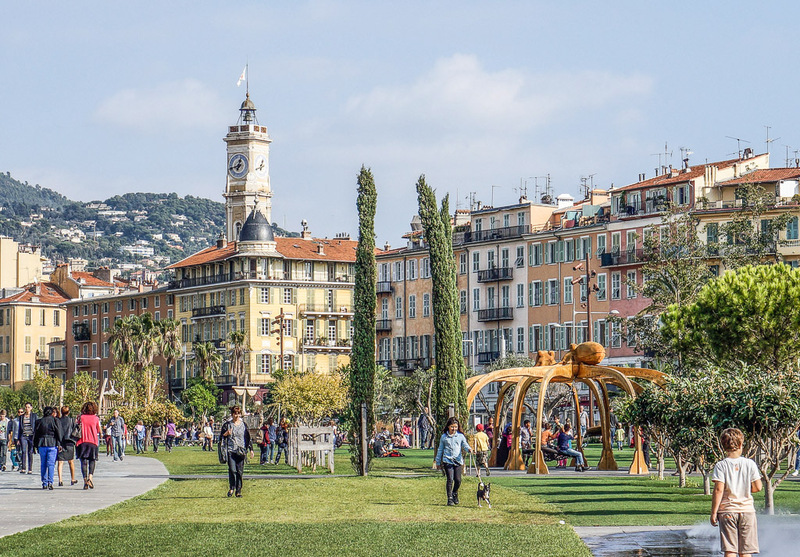 Nicknamed the "Pearl of France" famous for it's many beautiful gardens. 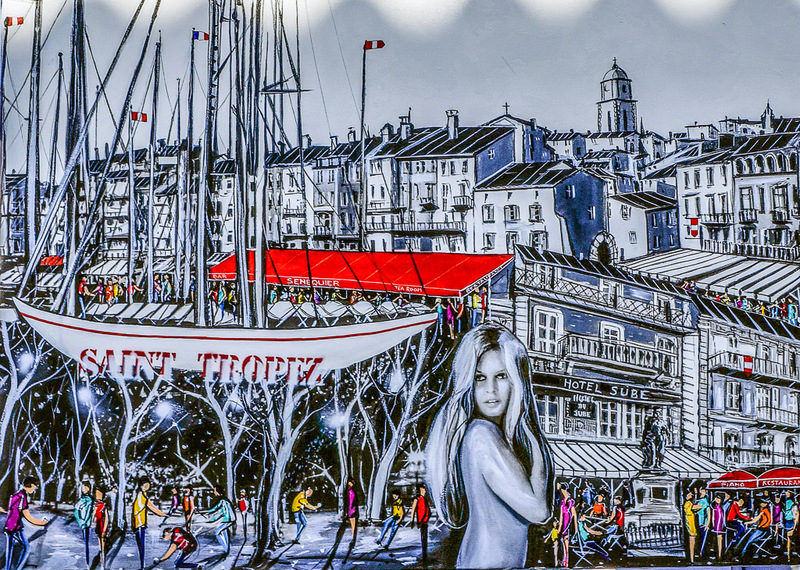 To Americans St. Tropez is most known as the home of Brigette Bardot. 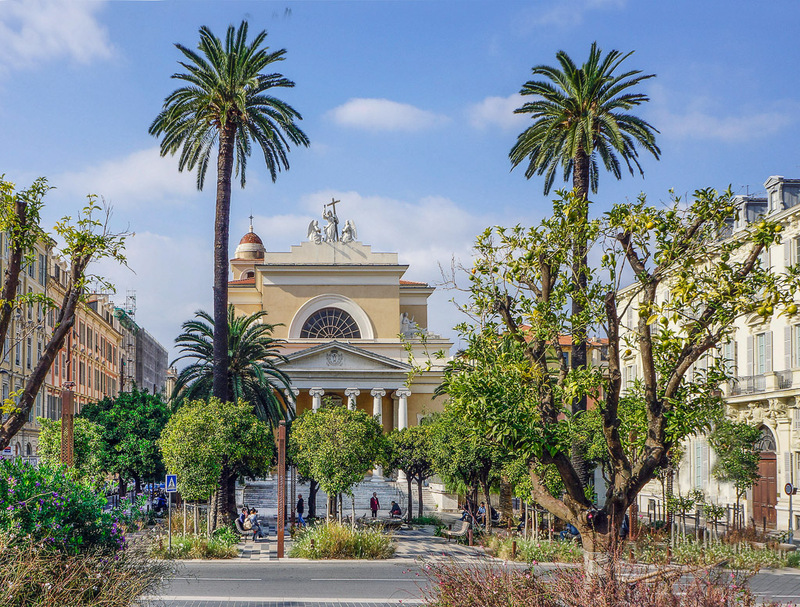 Built in the 1800's and houses remains of the Temple of Diana built in the Roman times. 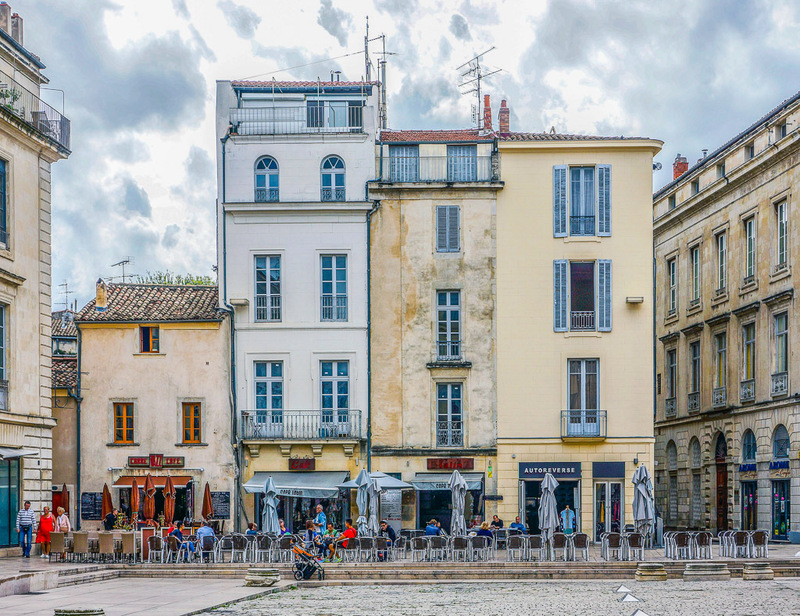 It's centre ville offers many temptations for food and shopping. 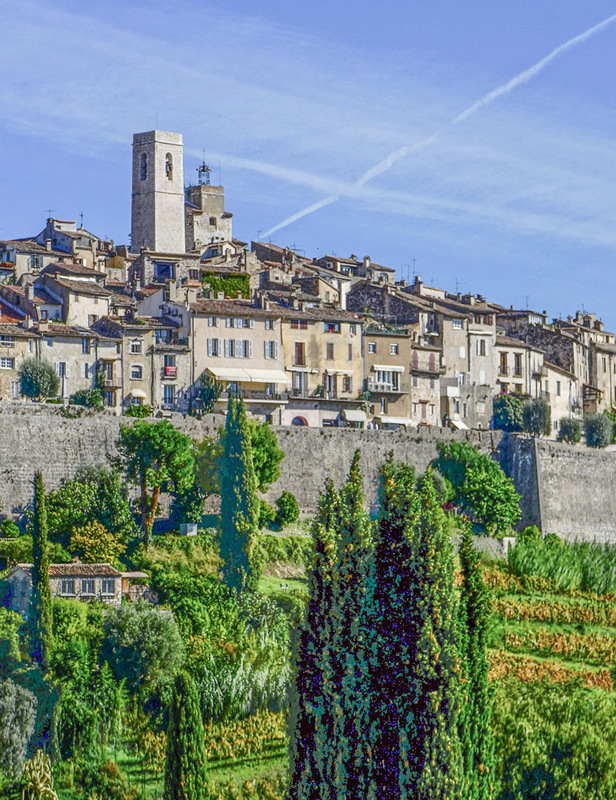 Saint Paul de Vence is just one of many perched villages in France. A colorful paint job with an added touch of imagination. 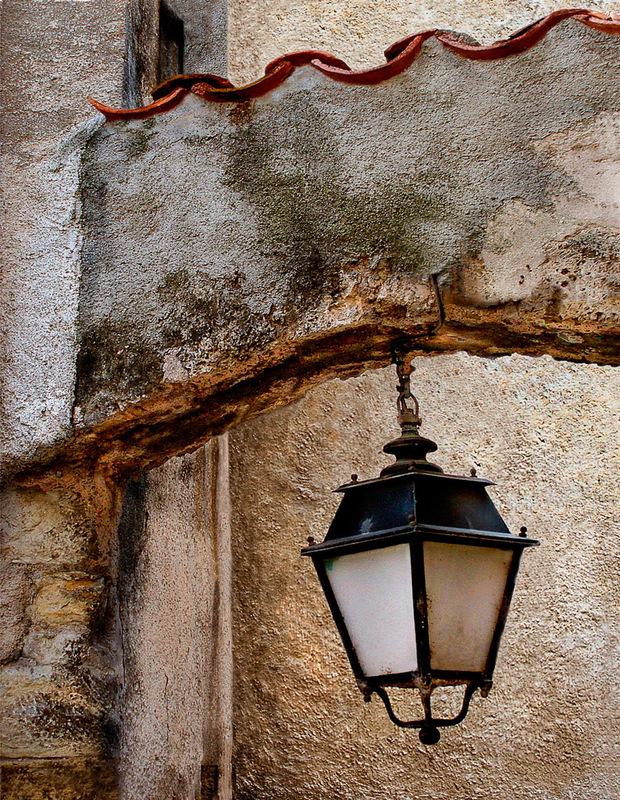 A typical Provencal street lamp in the village of Fayence. 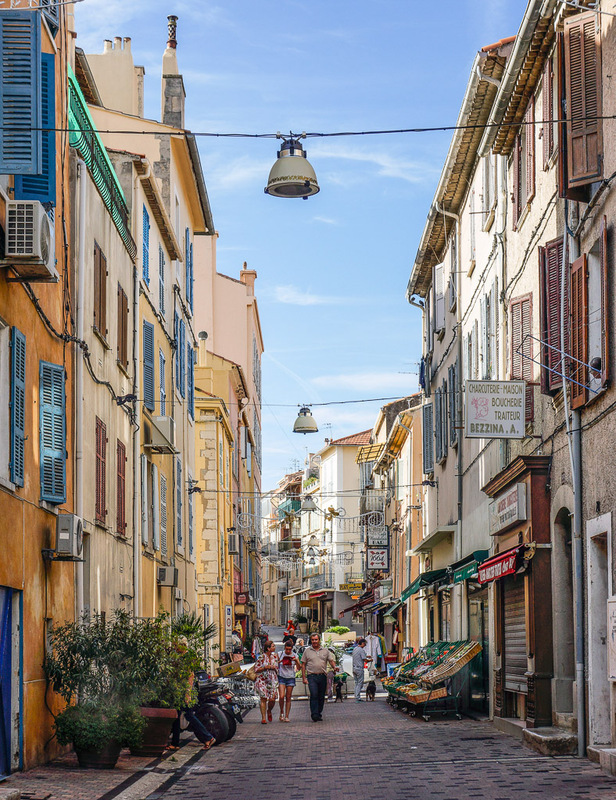 The market is busy but the back streets are quiet in Antibes. 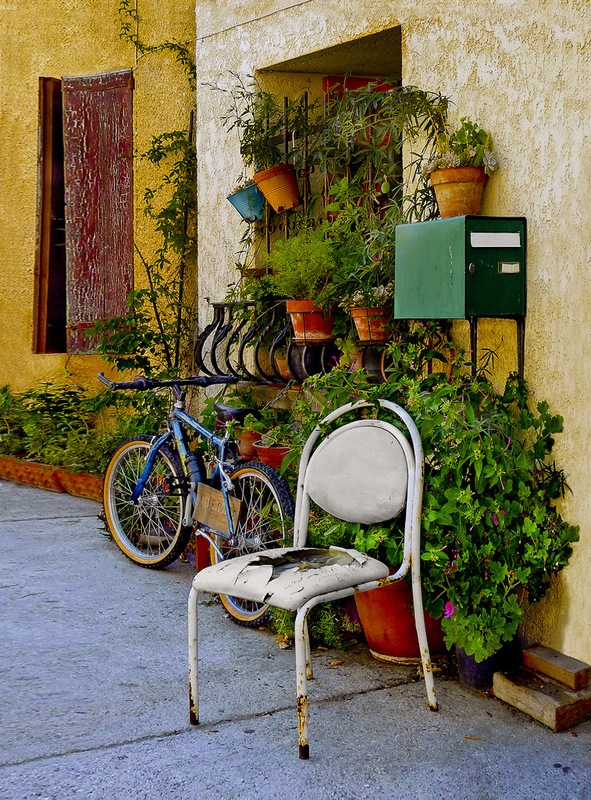 The shops are not open yet so the streets are peaceful and uncrowded. 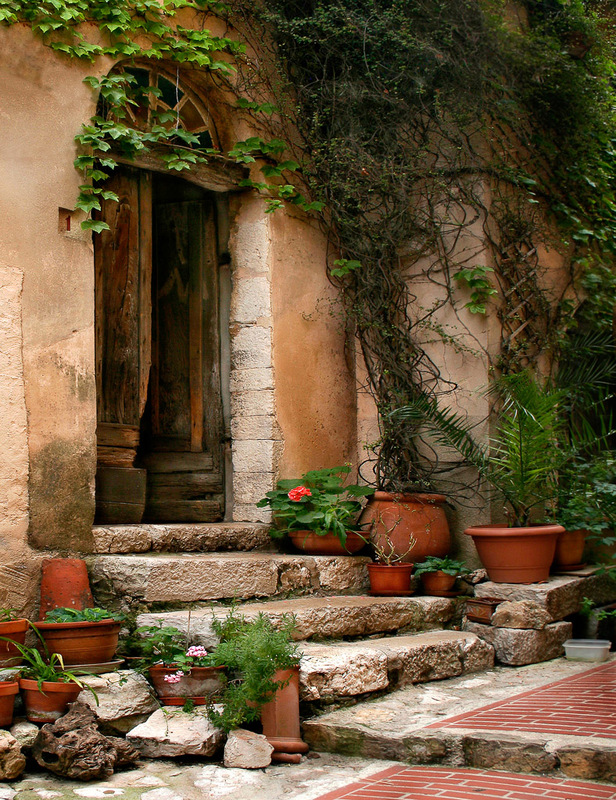 The home of a plant lover in the old village of Leucate. 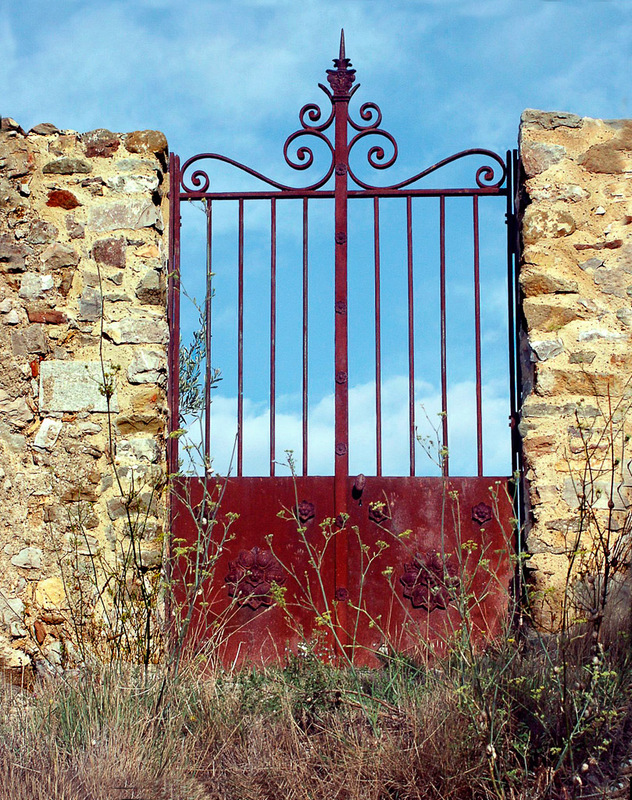 Looking out to the blue sky through the gate at La Viala. 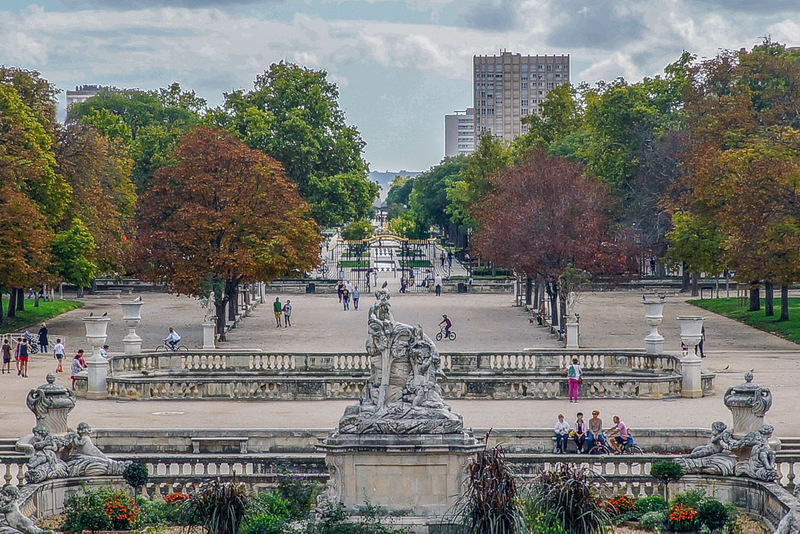 After all it is France, a land of lovers! 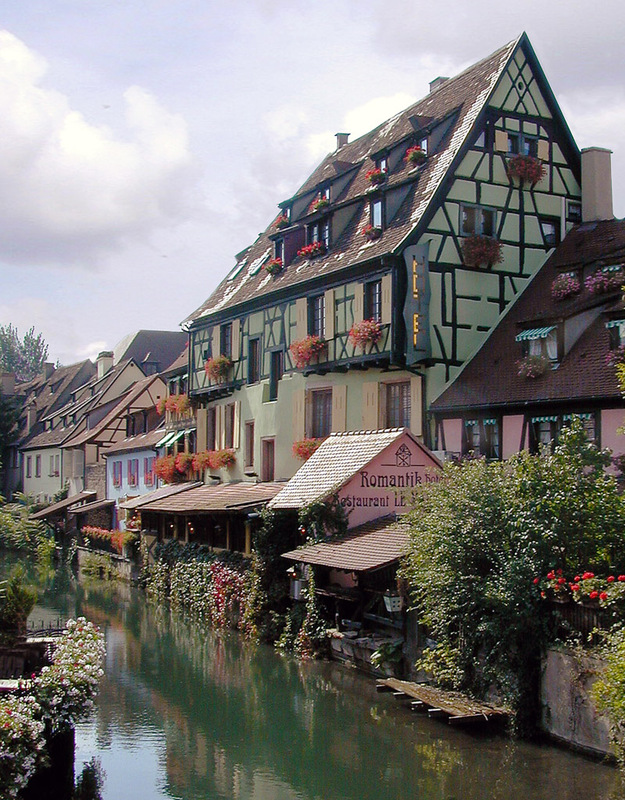 The canal neighborhood is known as La Petite Venice. 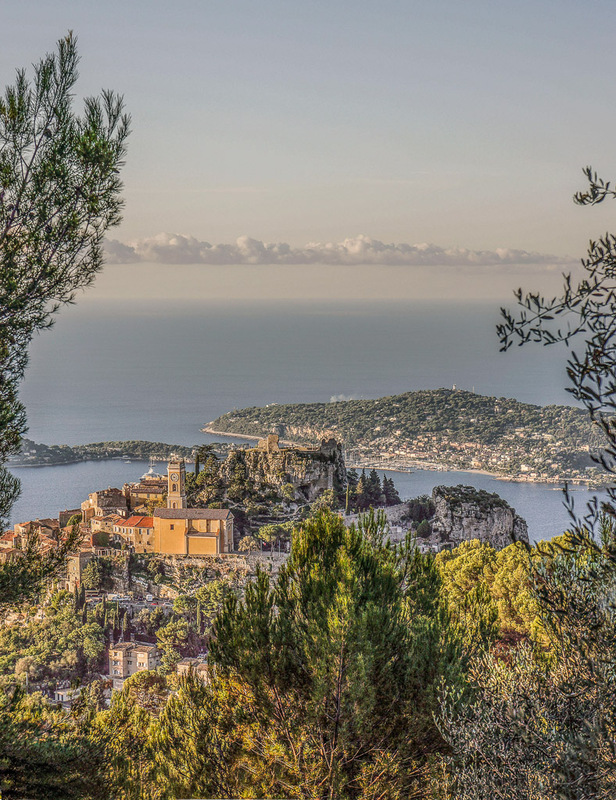 View from La Turbie to Eze Village and the Mediterranean Sea. 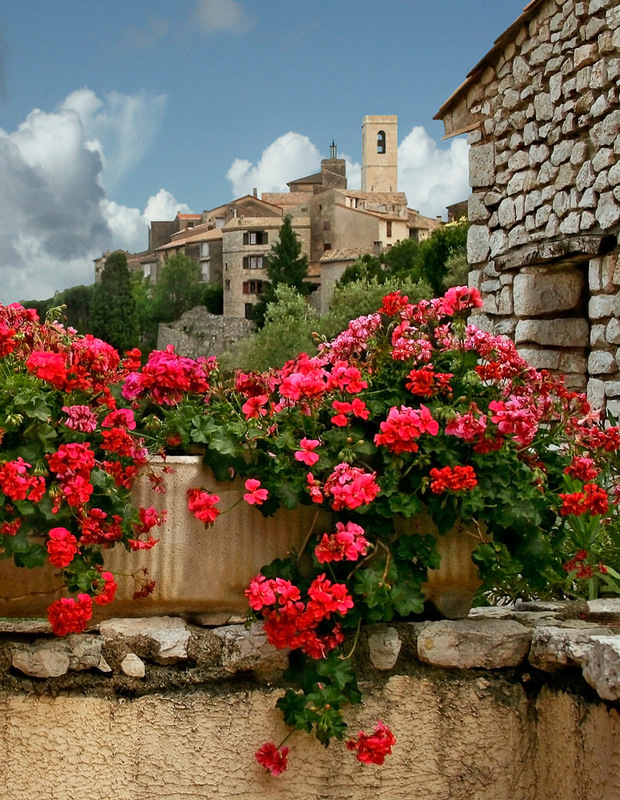 One of many beautiful perched villages to explore in Provence. 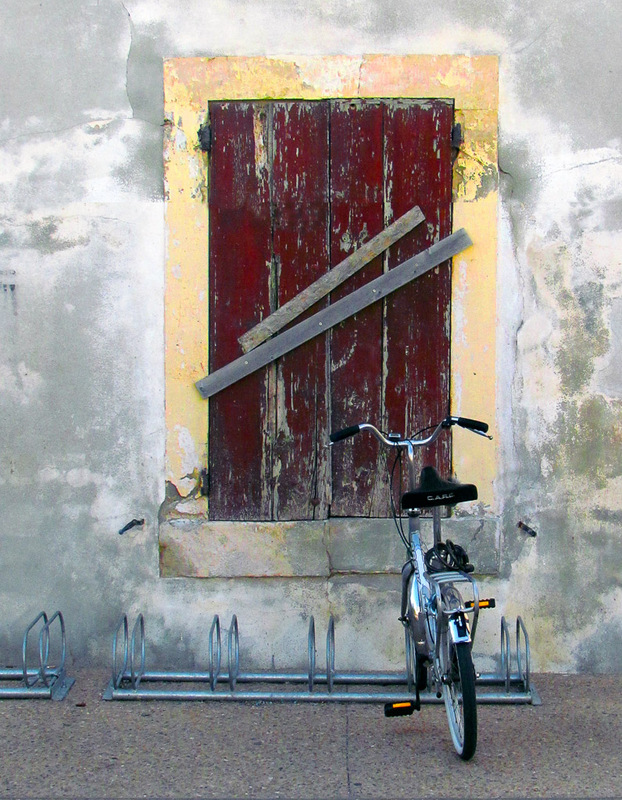 The neighborhood is boarded and shuttered but the bike indicates someone is near. 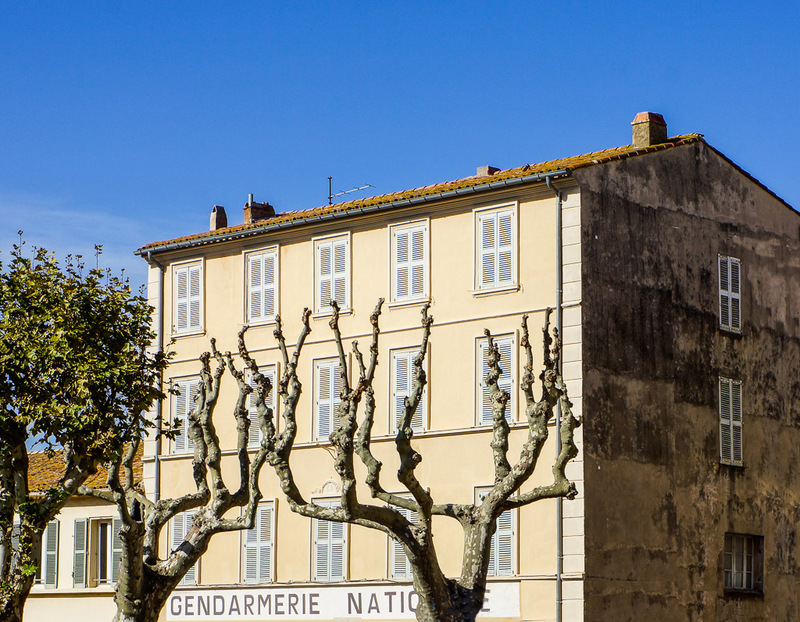 Trees by St. Tropez's Gendarmerie look like they could reach out and grab you. 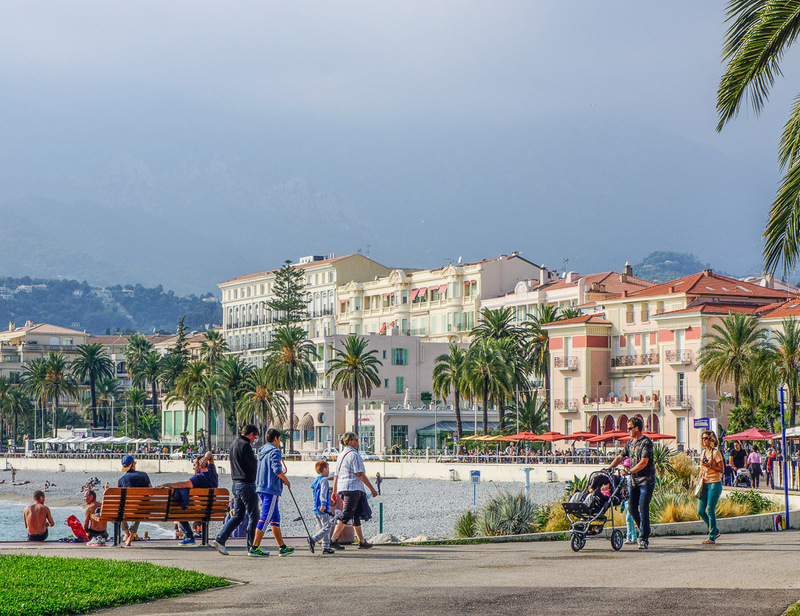 A seaside promenade from the park leads to the bord de mer of Menton. 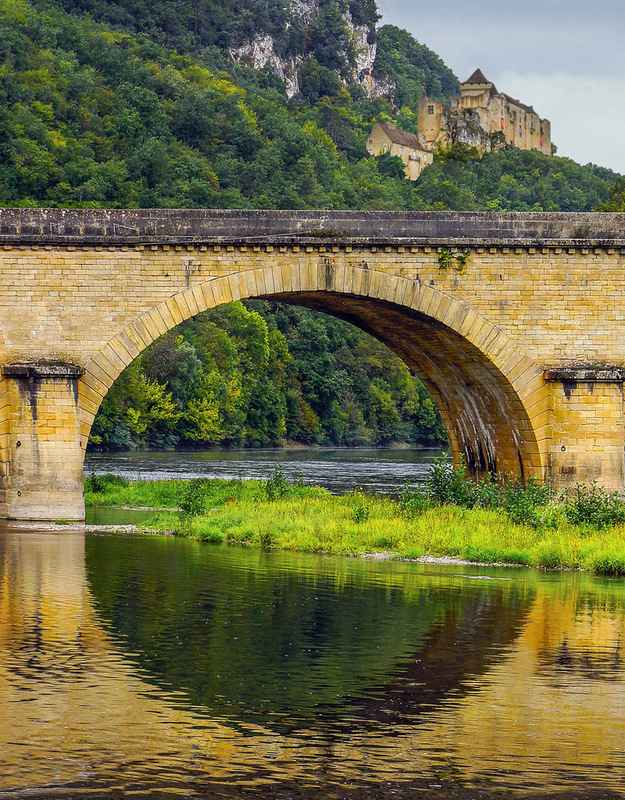 A beautiful view in the Dordogne region of France. 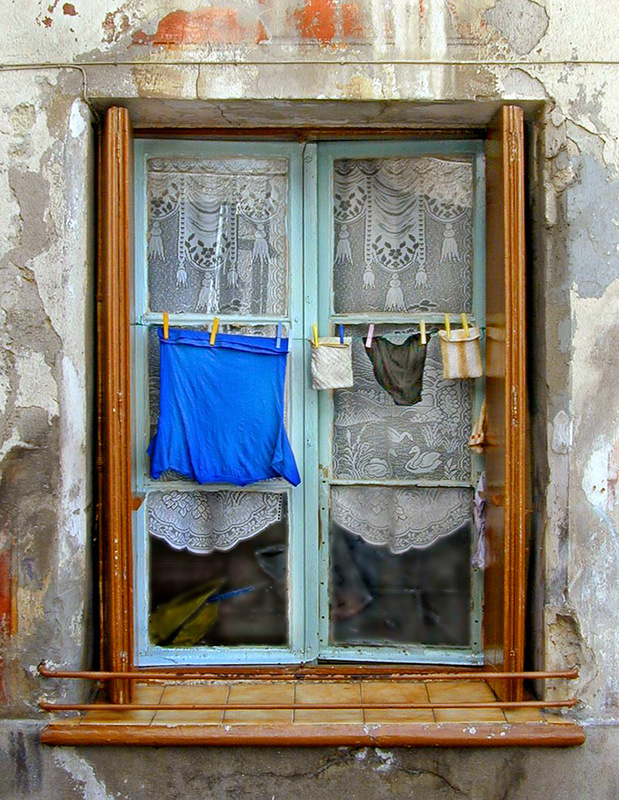 This is the way most laundry gets dried in the South of France. 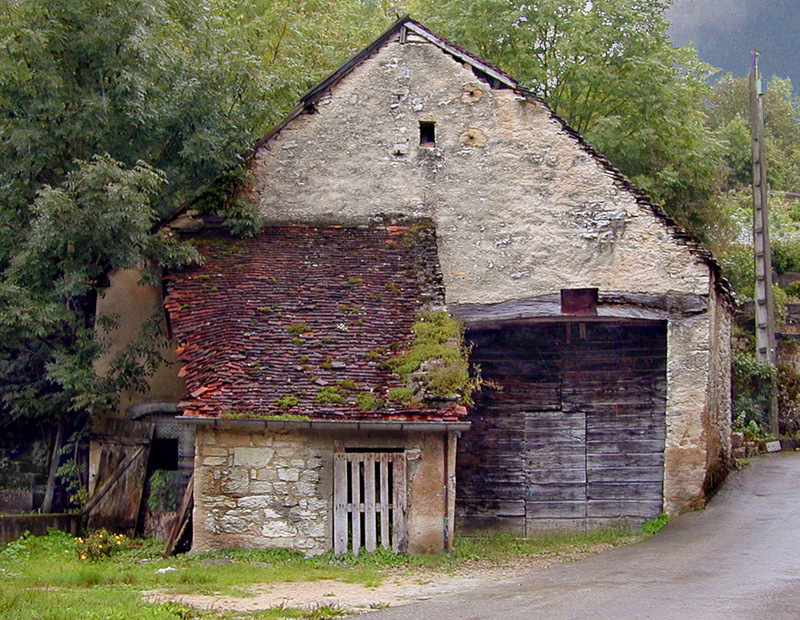 A well weathered barn n Port Lesney, a small village in the Franche-Comté. 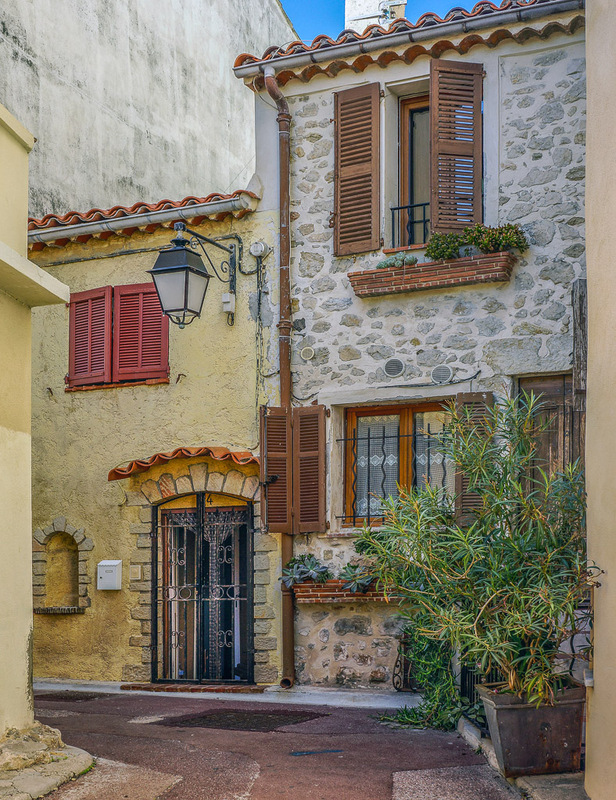 Entrance to a home in Leucate, a small town in southwestern France. 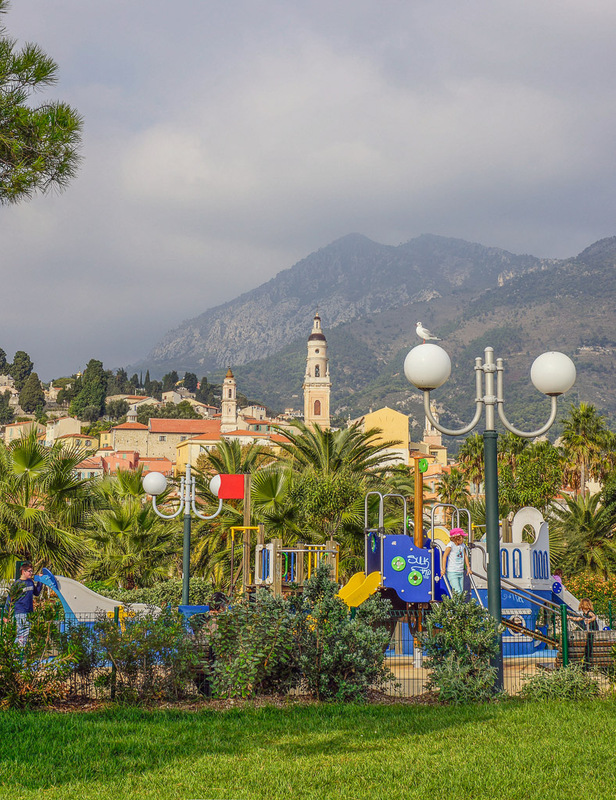 The air is filled with the seductive scents of Rosemary and Lavender. 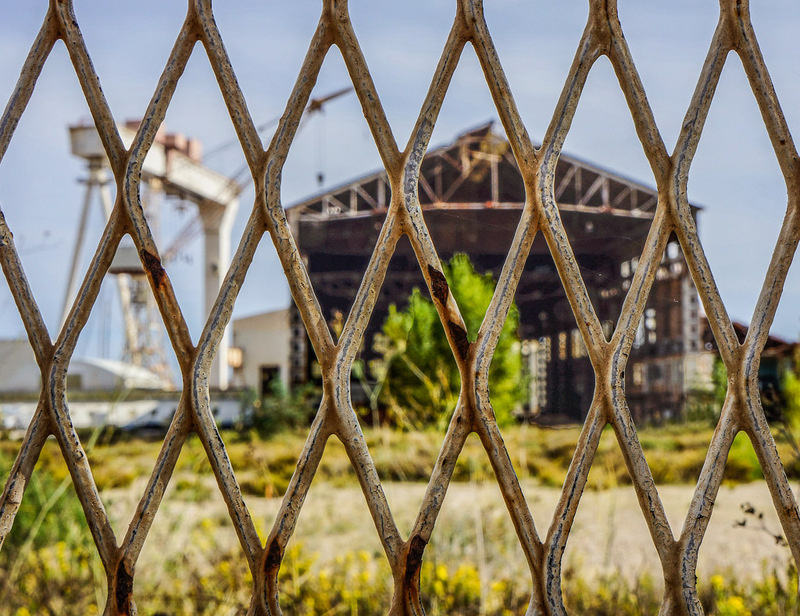 Boats got too big for the old ship building factory so it's been left to rust. 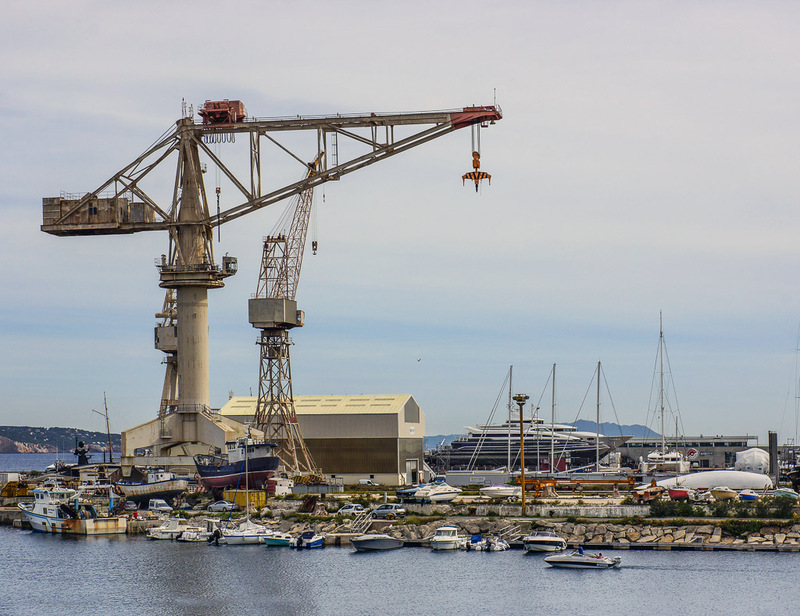 The new business is repair and caters to boats that cost millions. 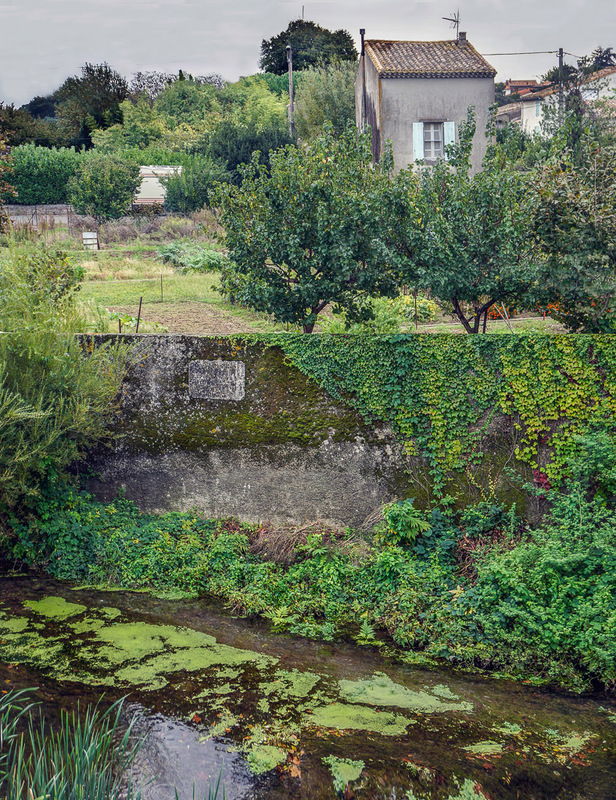 Dine on oysters at the source in Cancale, the oyster capital of France. 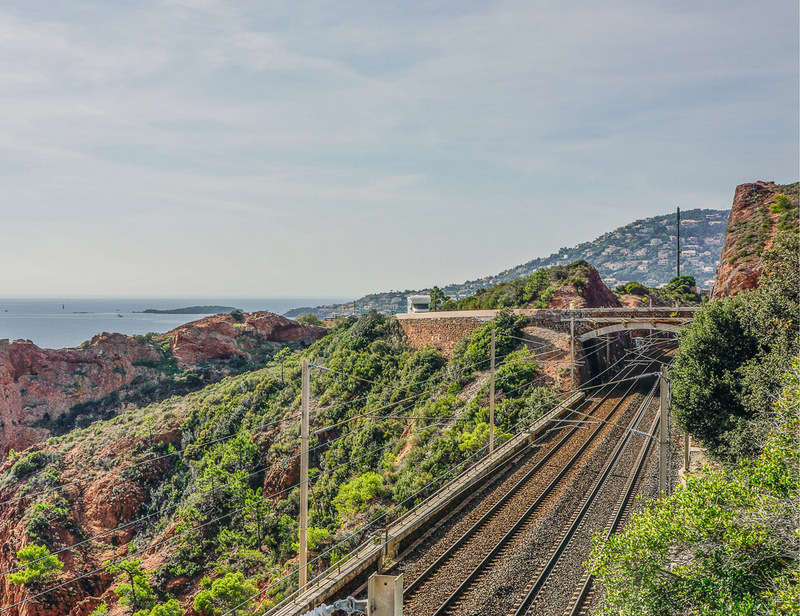 The high speed TGV zips from Paris to the south at speeds up to 201 mph. 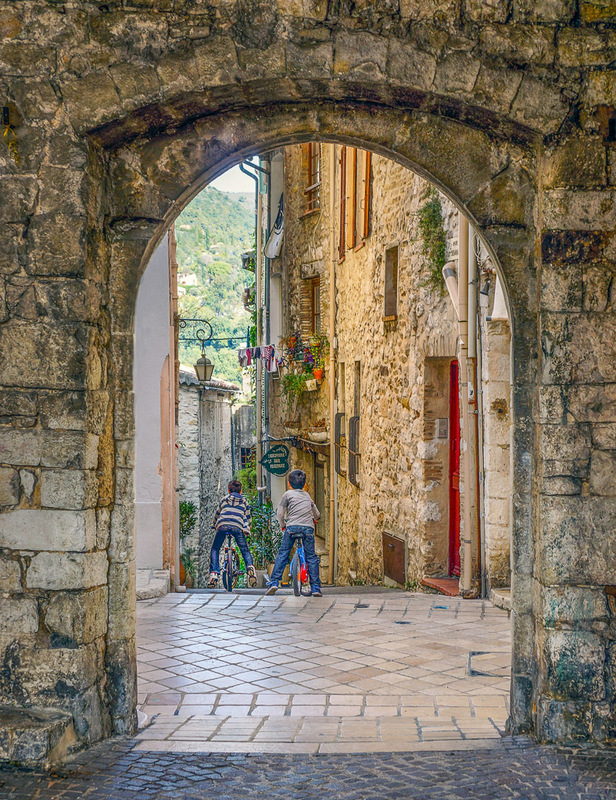 It takes a lot of stamina to cycle in the mountains of France. 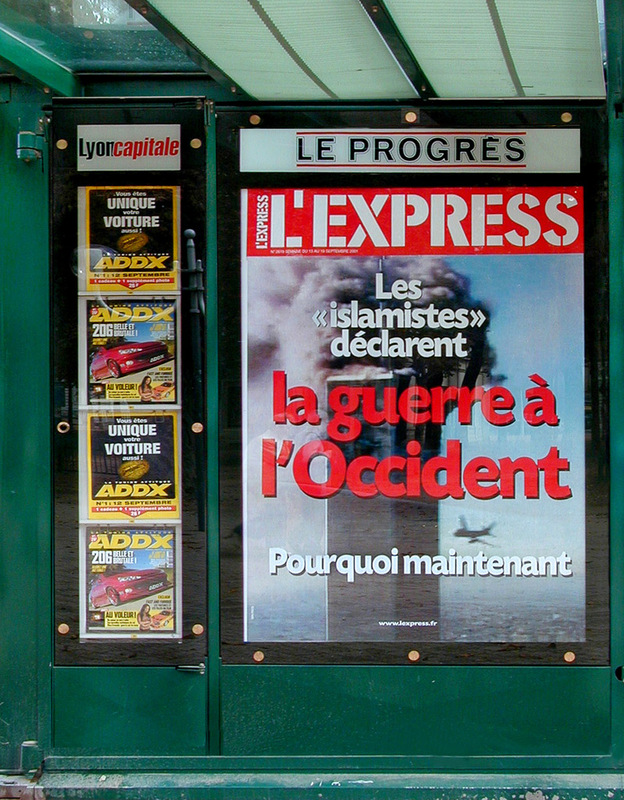 The French headline in L`Express two days after 9/11.